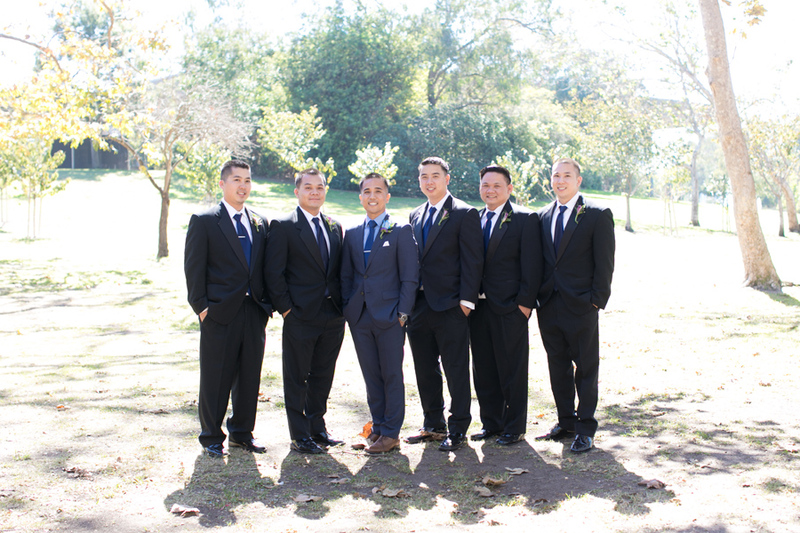 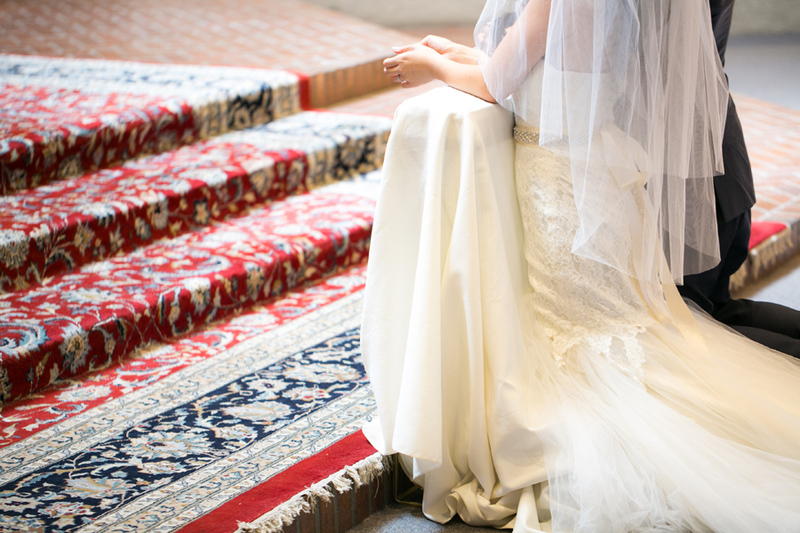 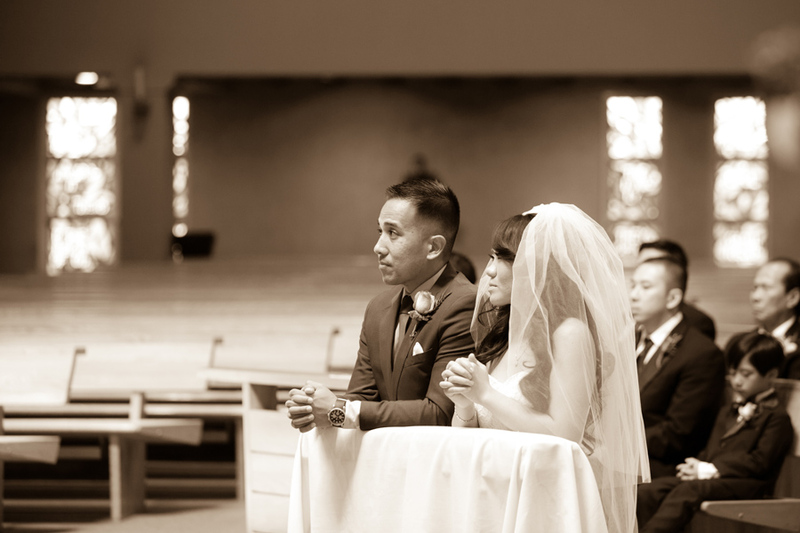 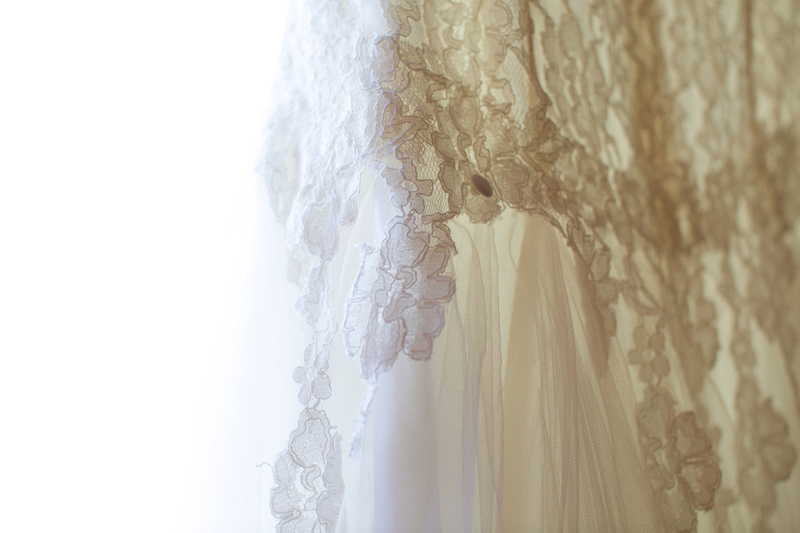 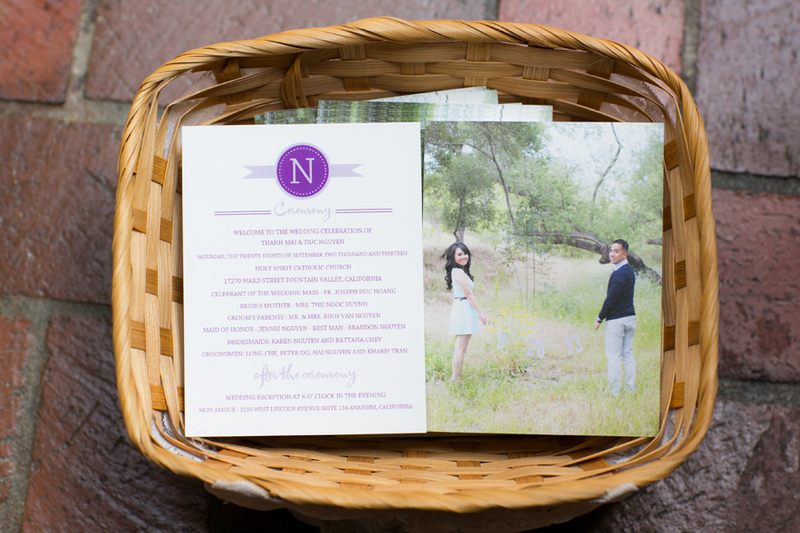 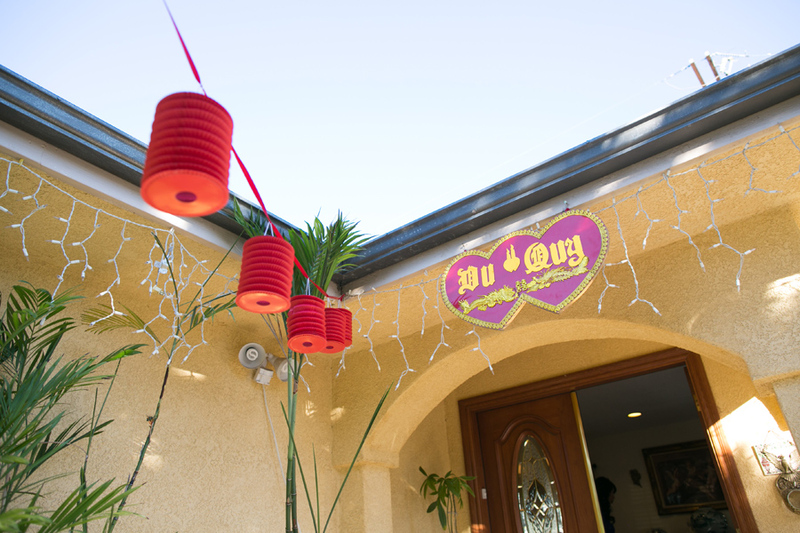 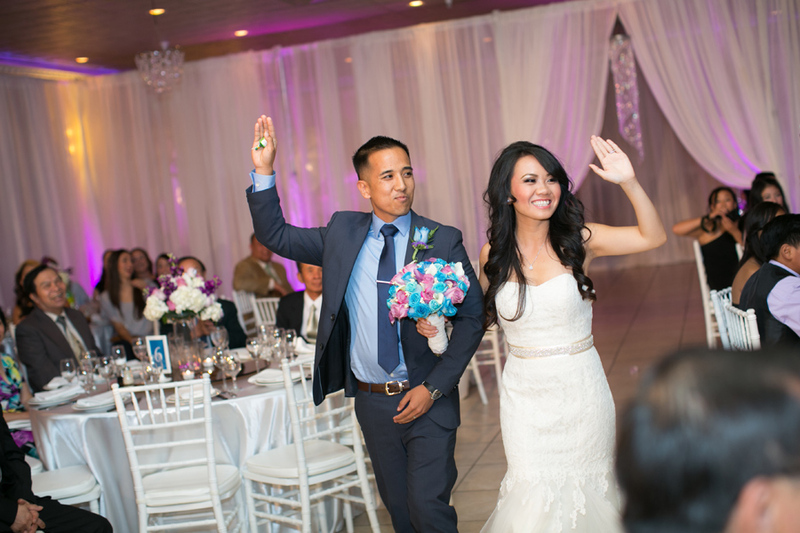 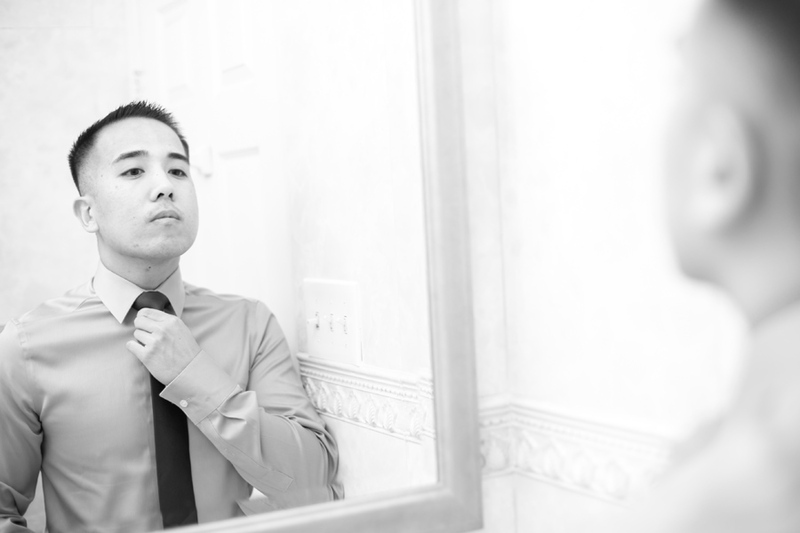 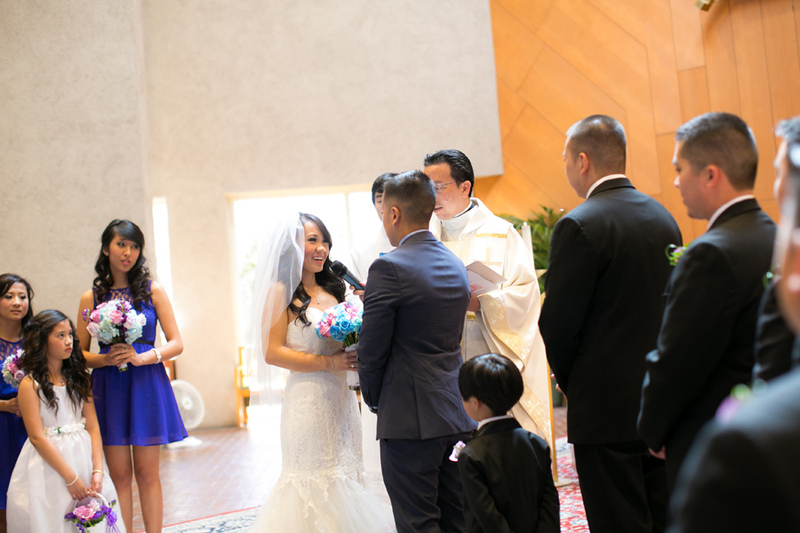 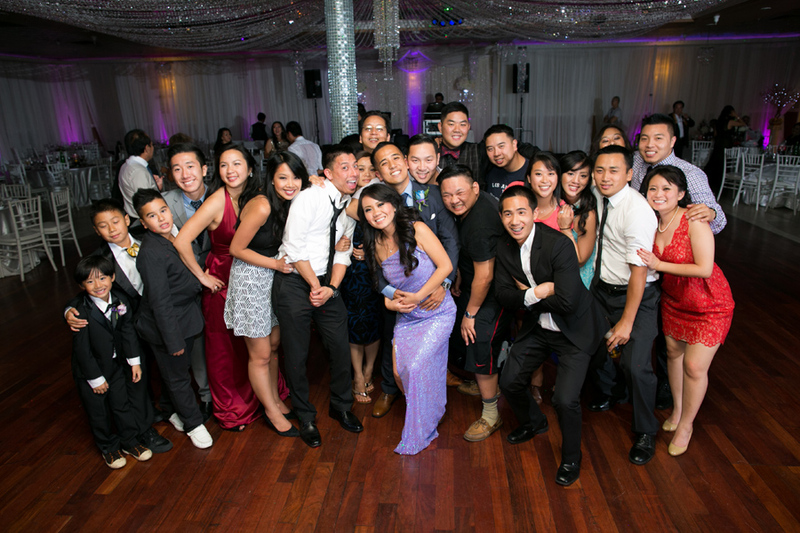 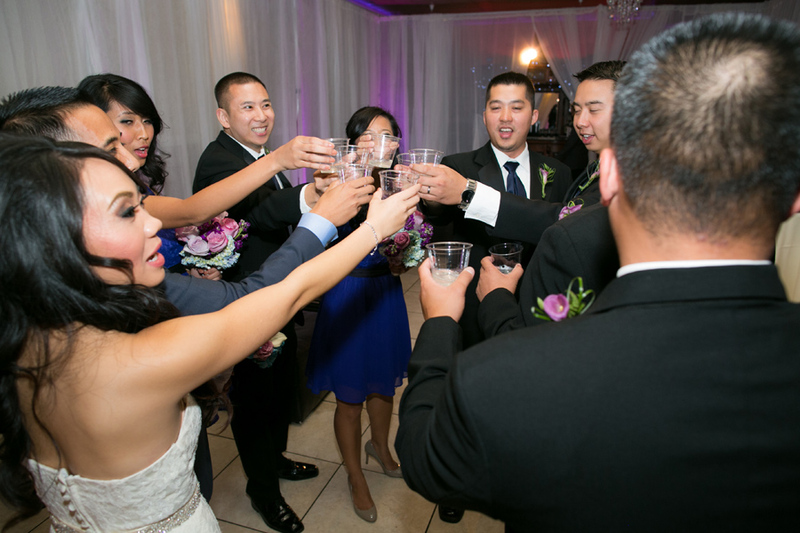 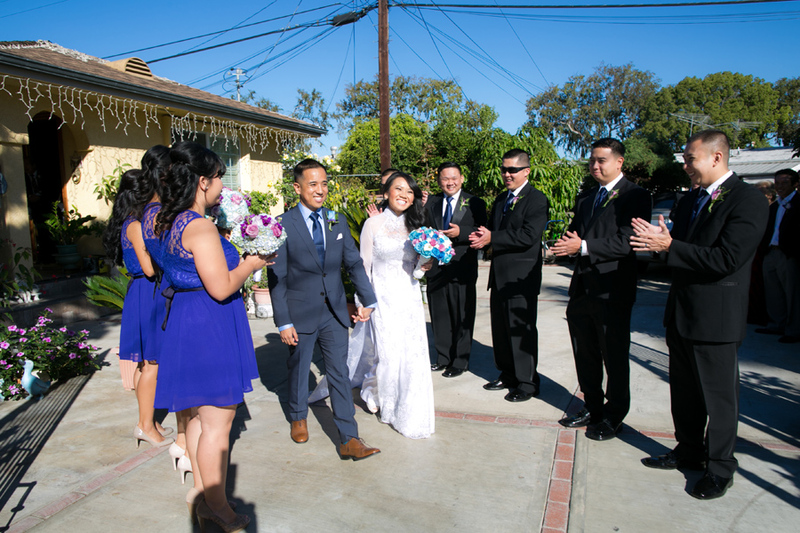 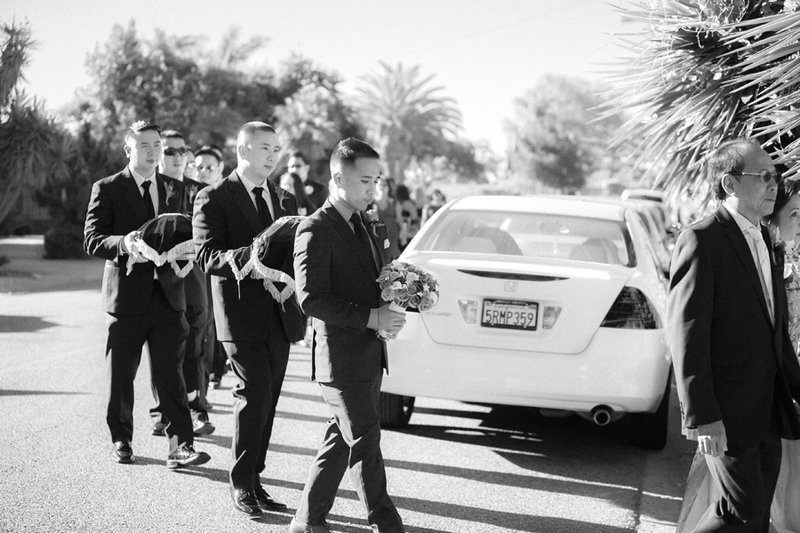 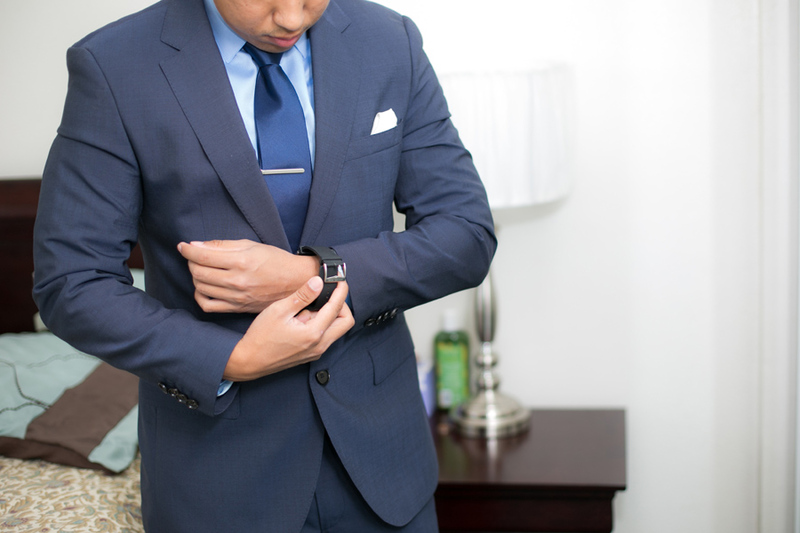 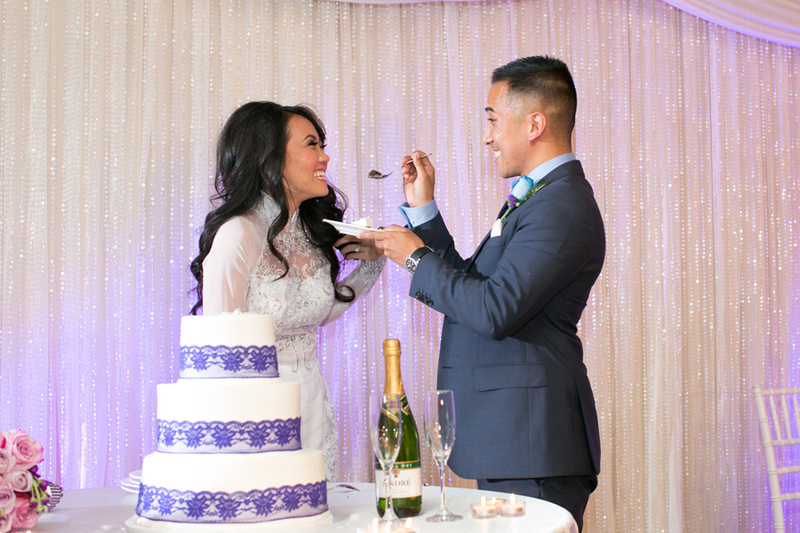 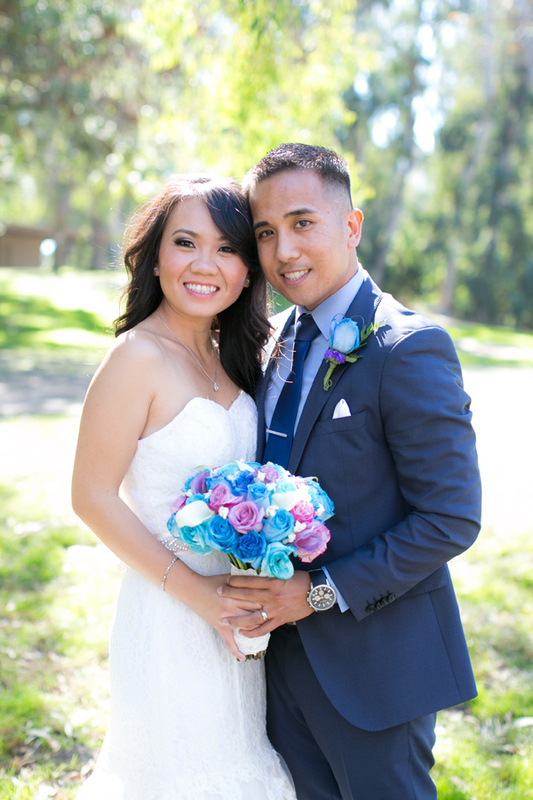 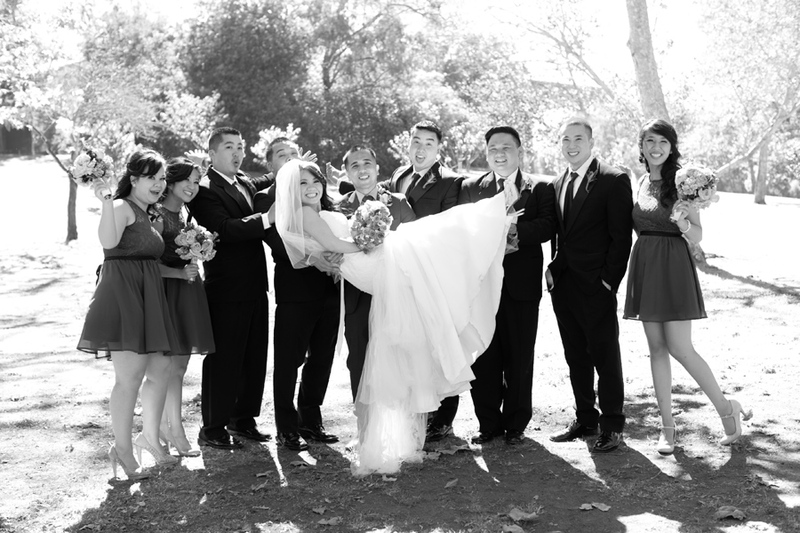 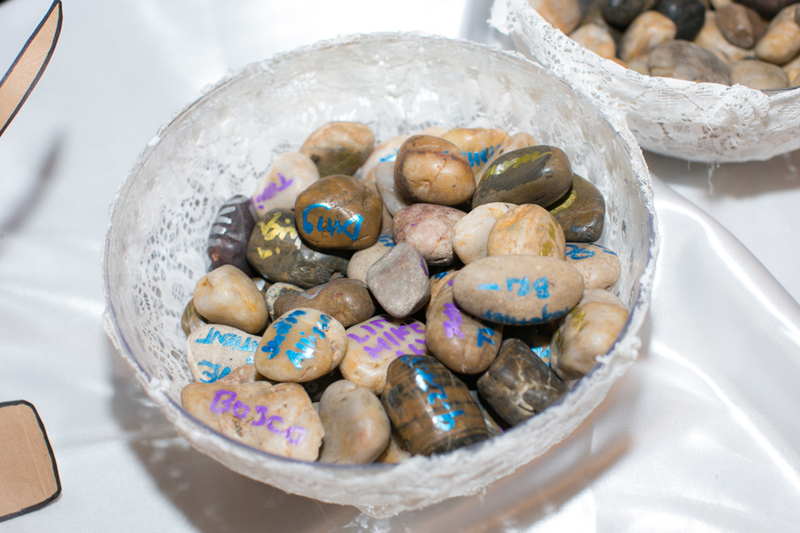 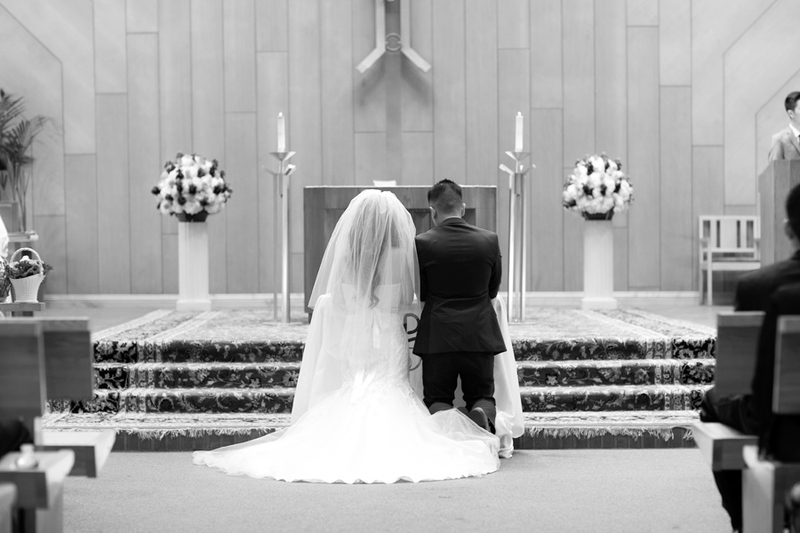 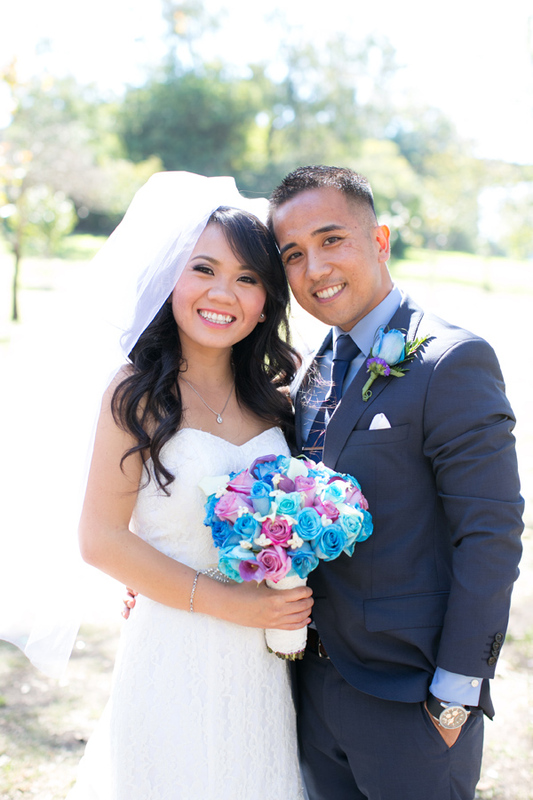 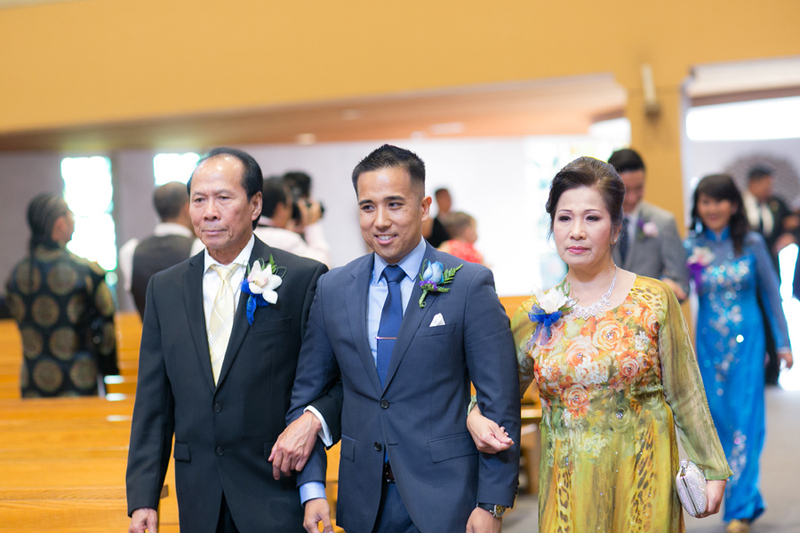 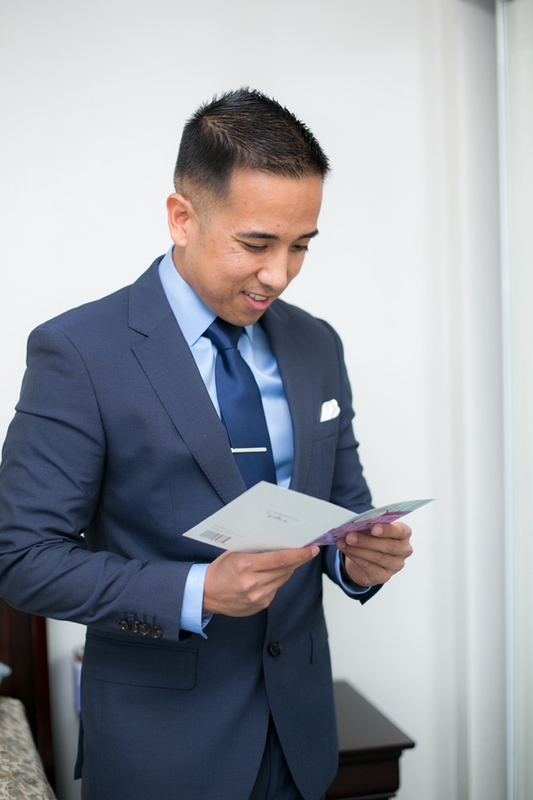 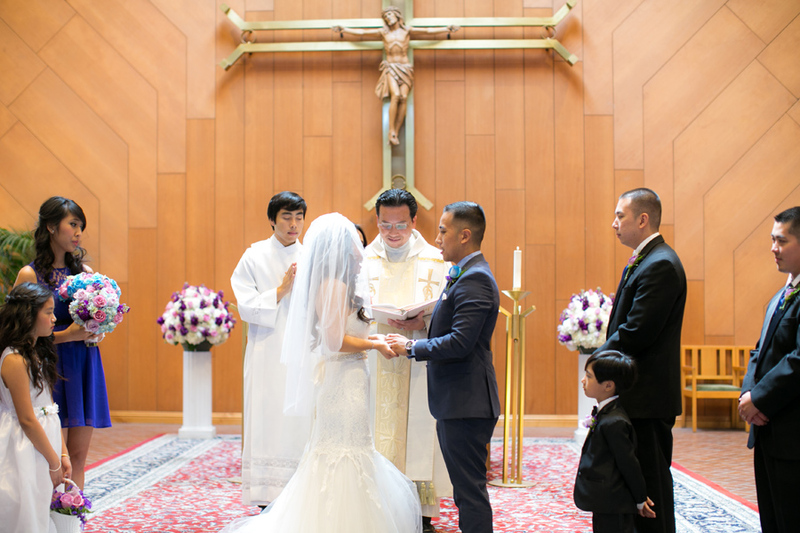 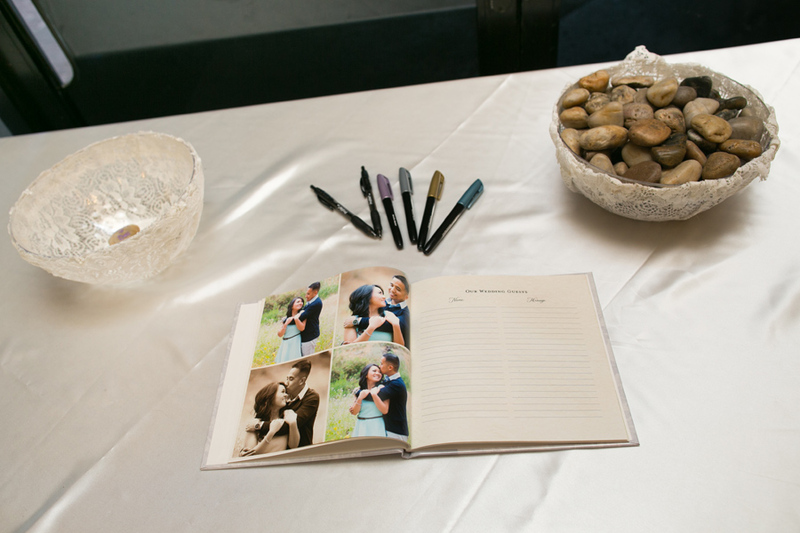 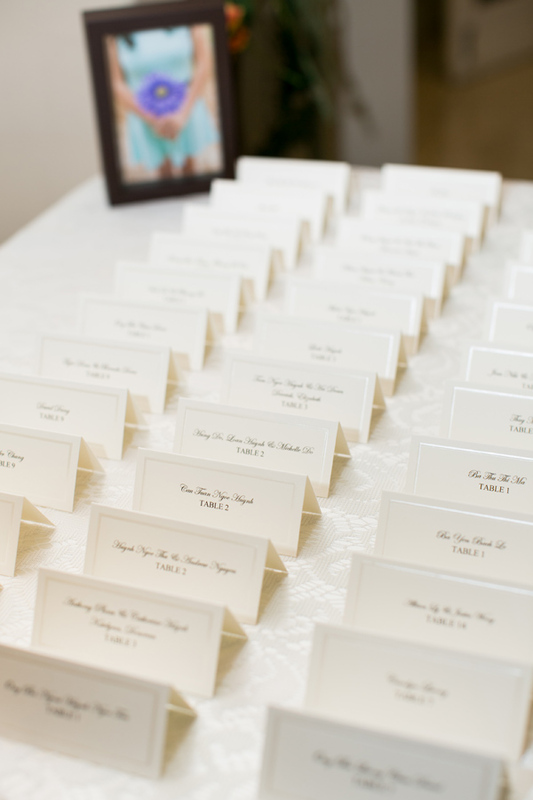 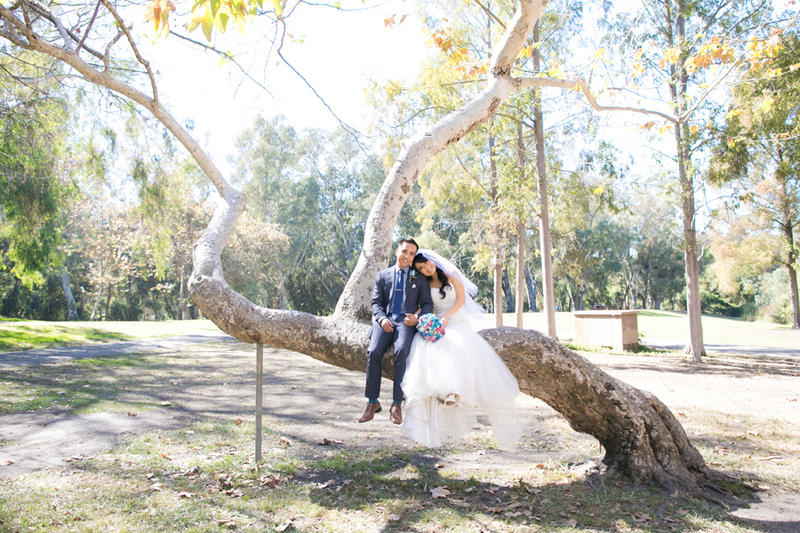 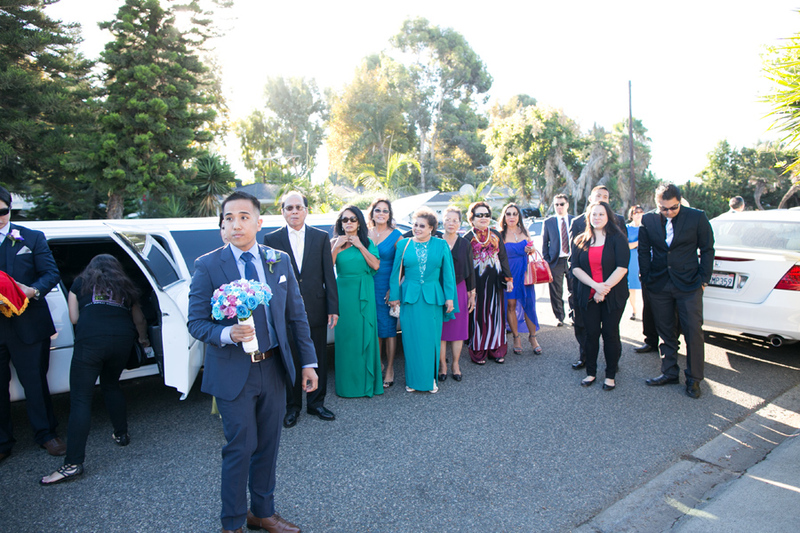 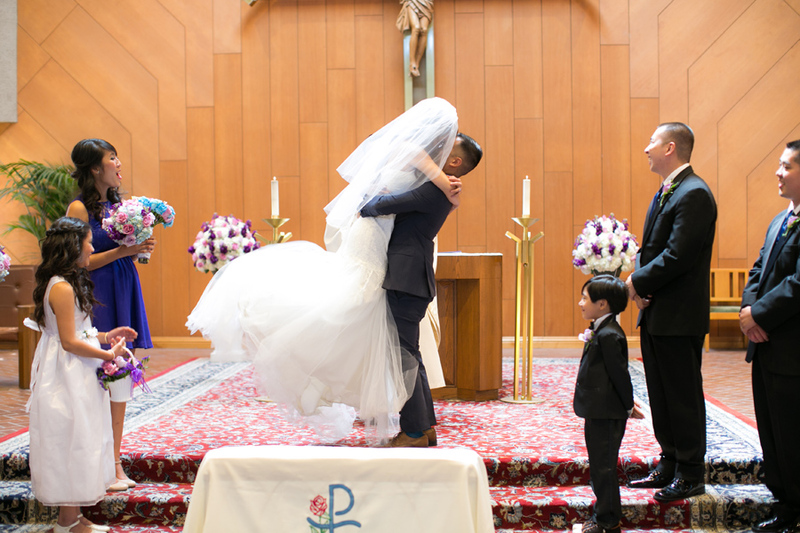 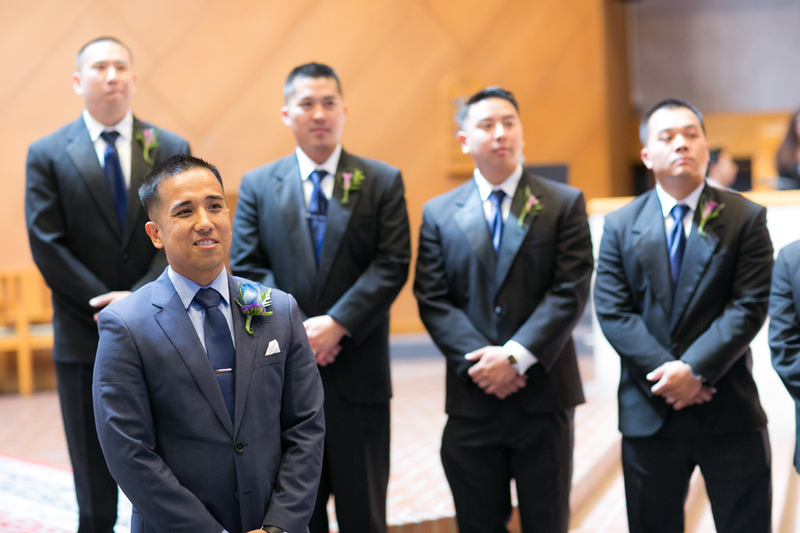 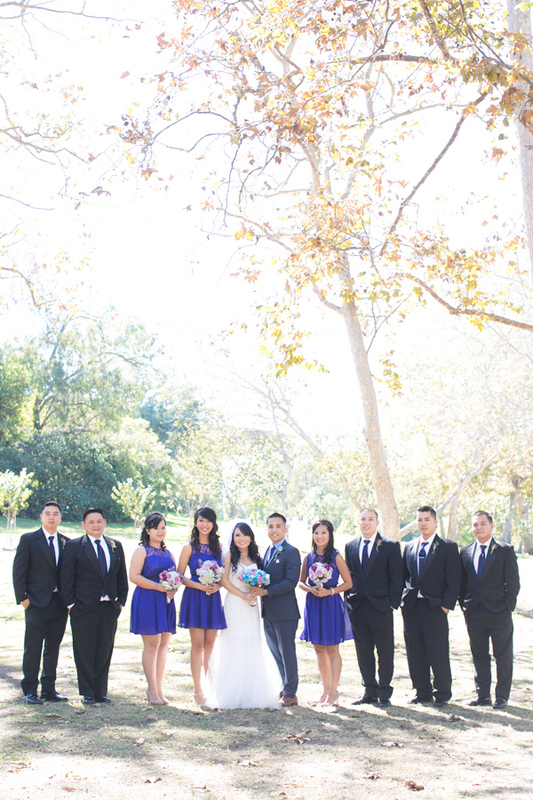 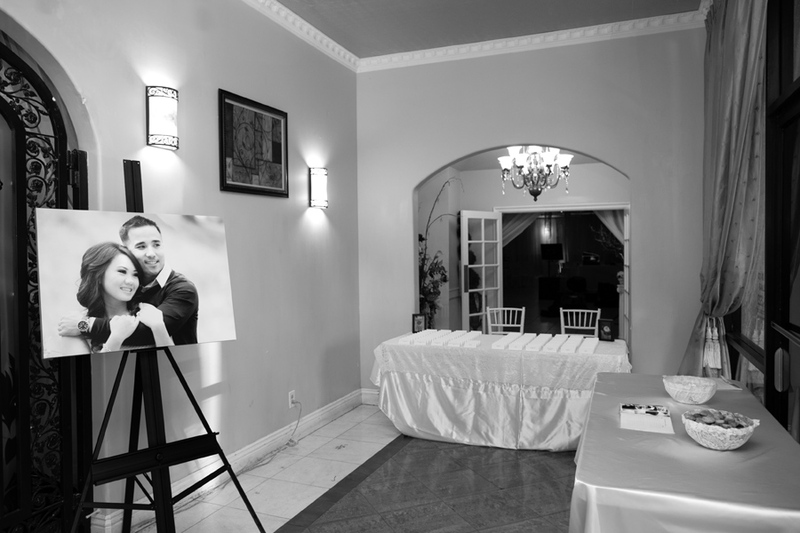 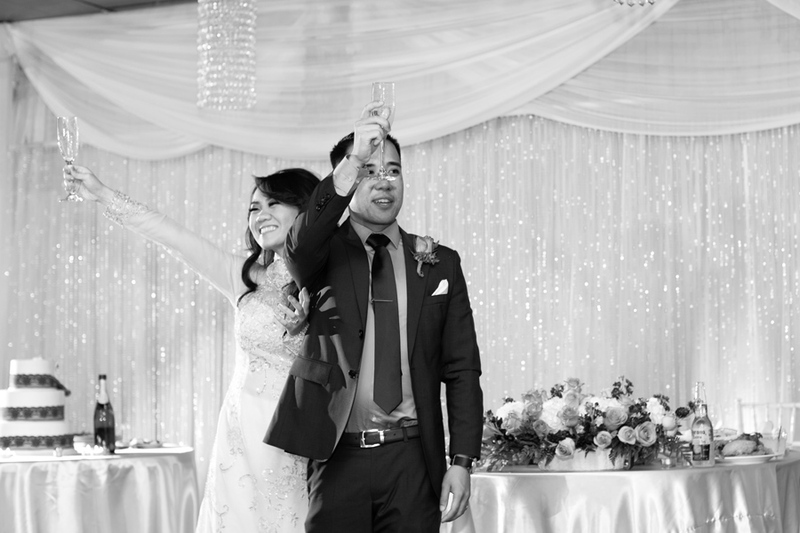 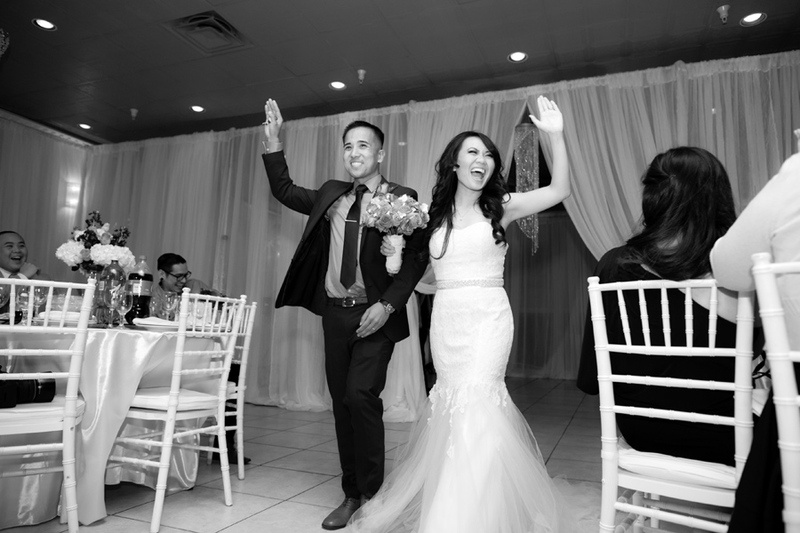 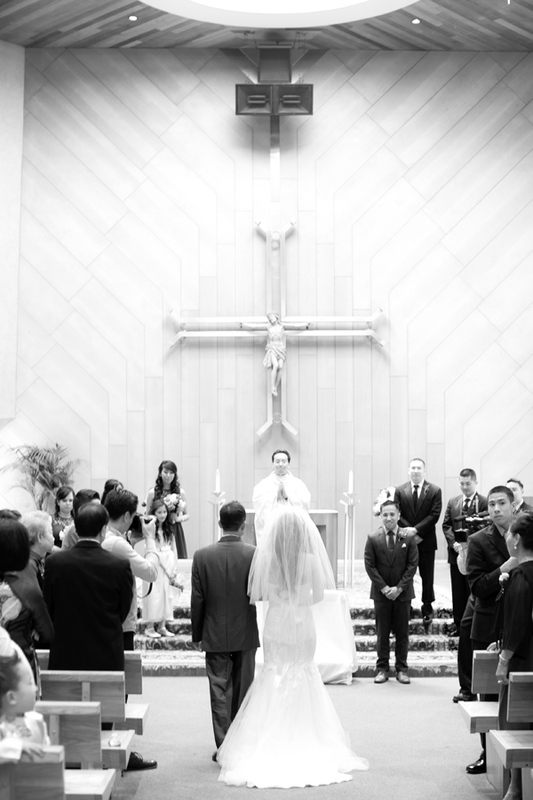 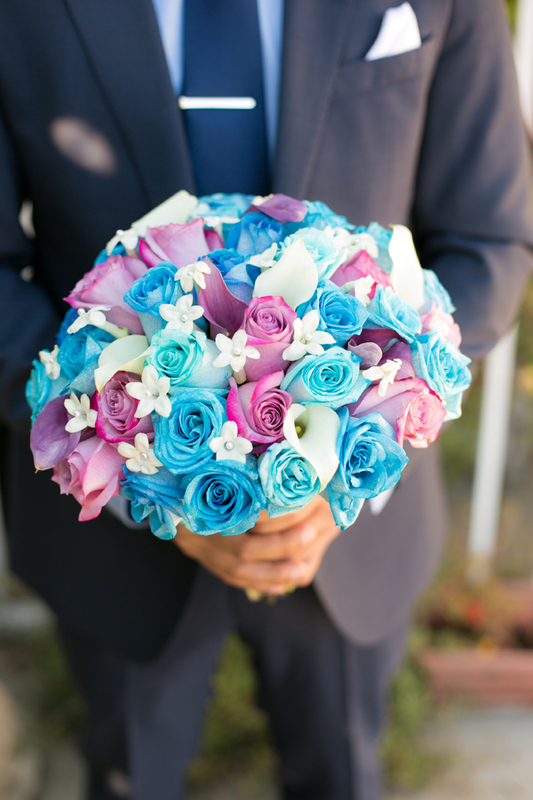 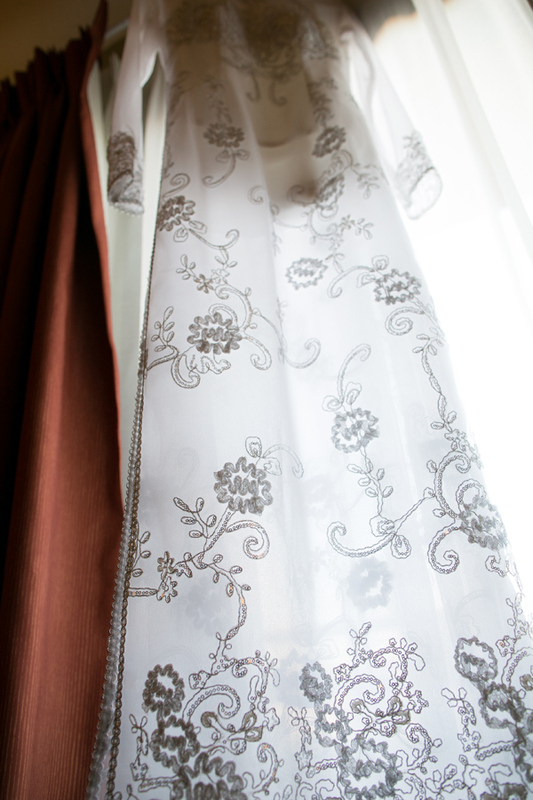 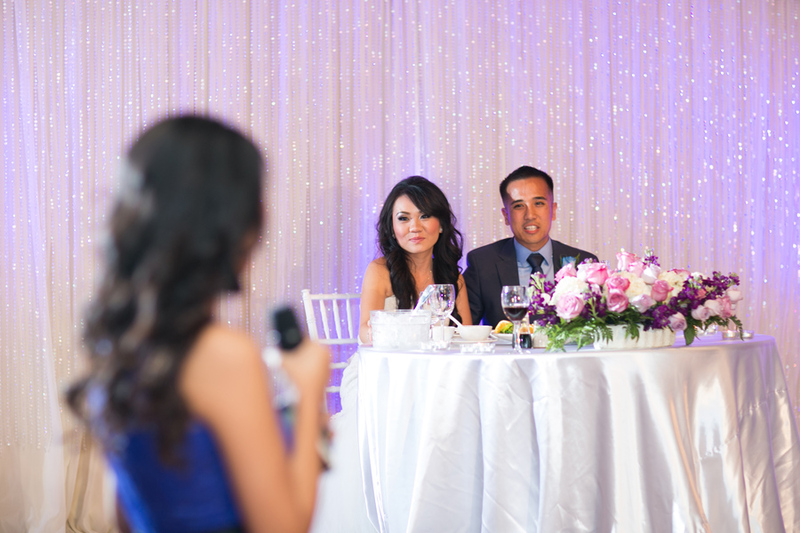 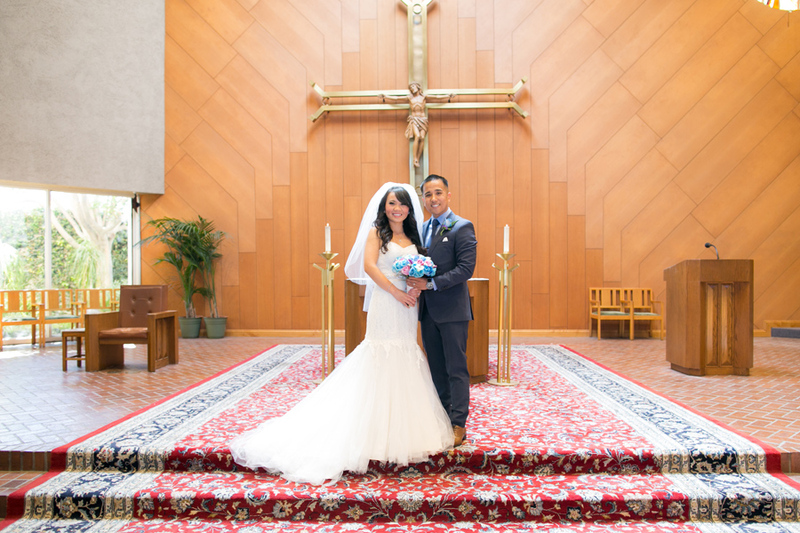 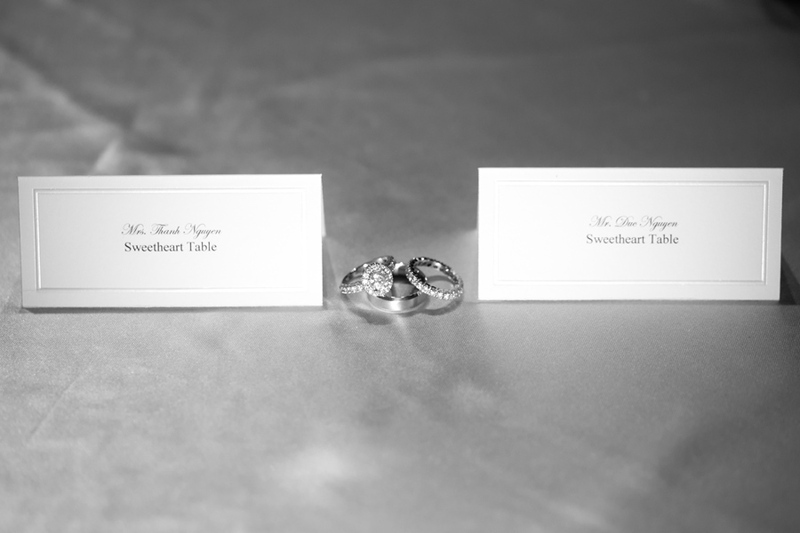 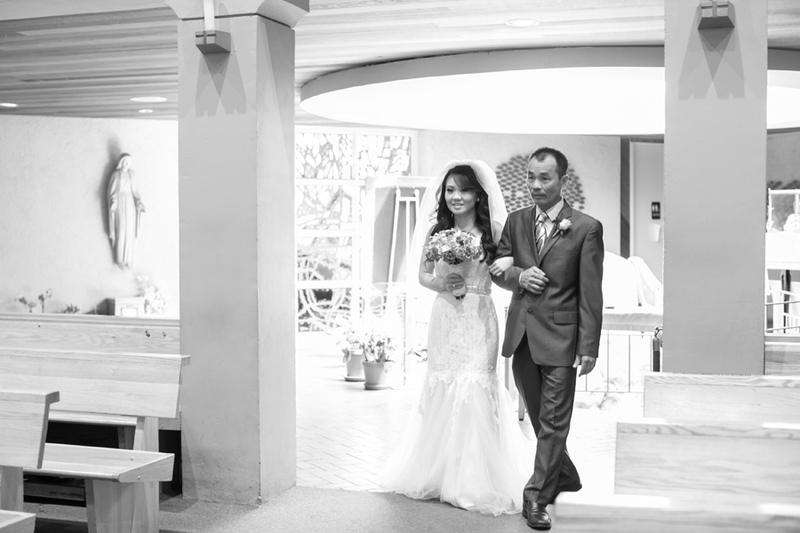 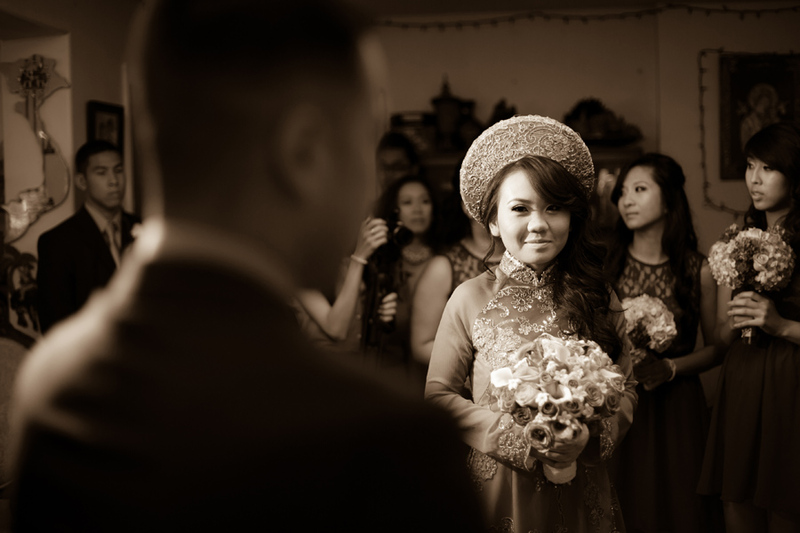 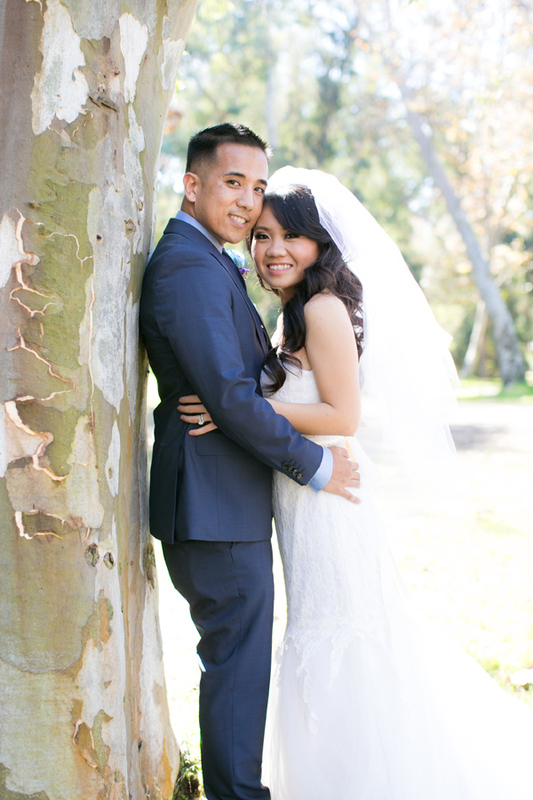 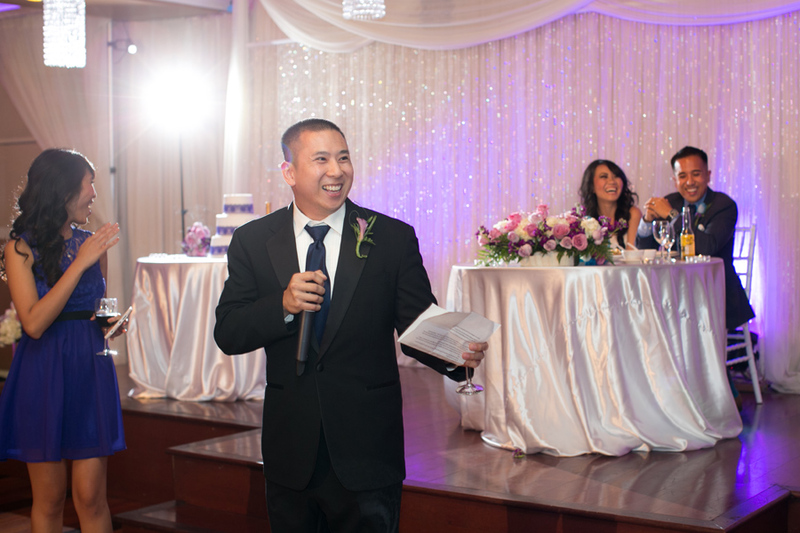 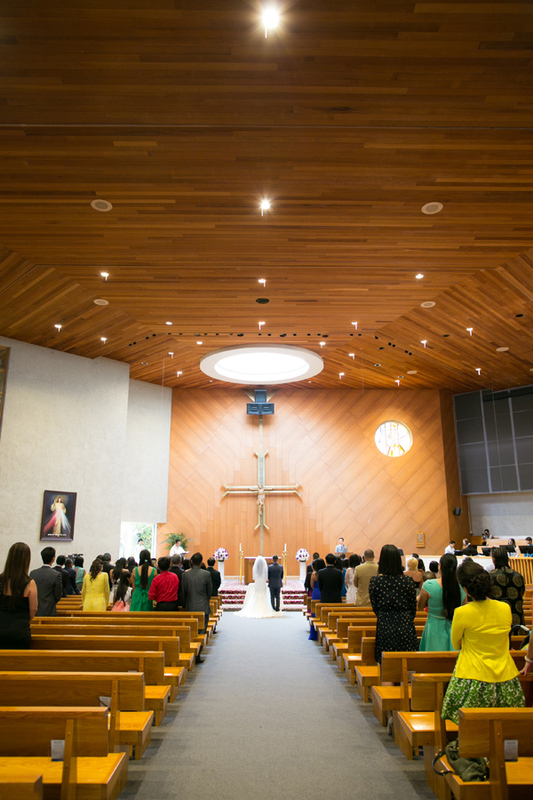 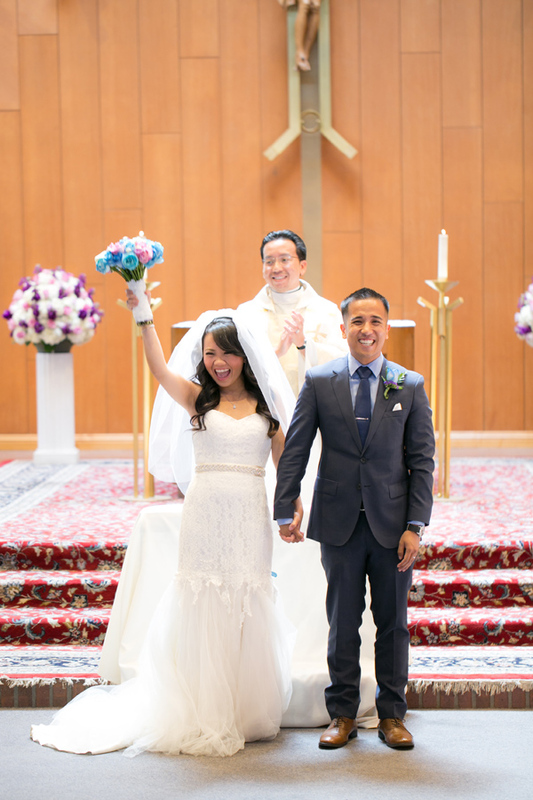 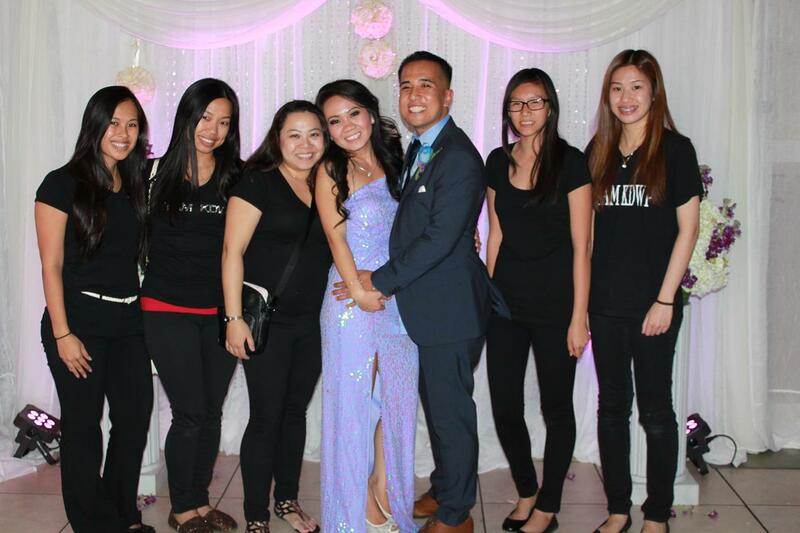 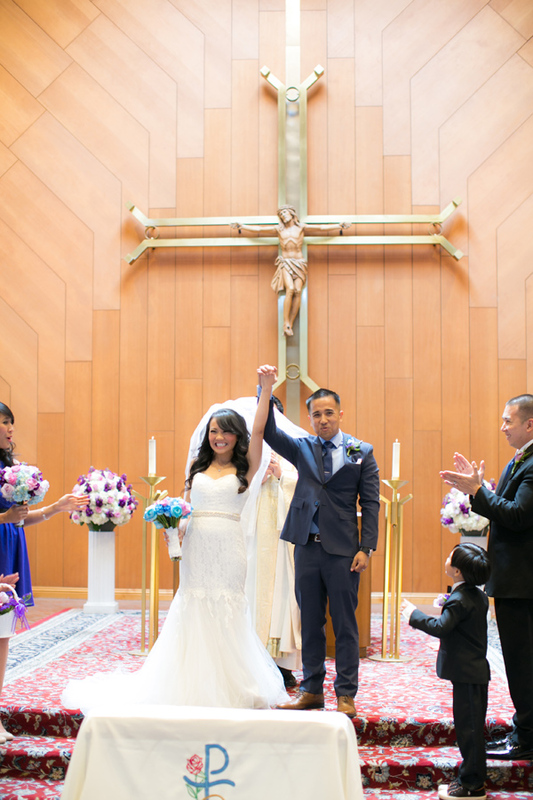 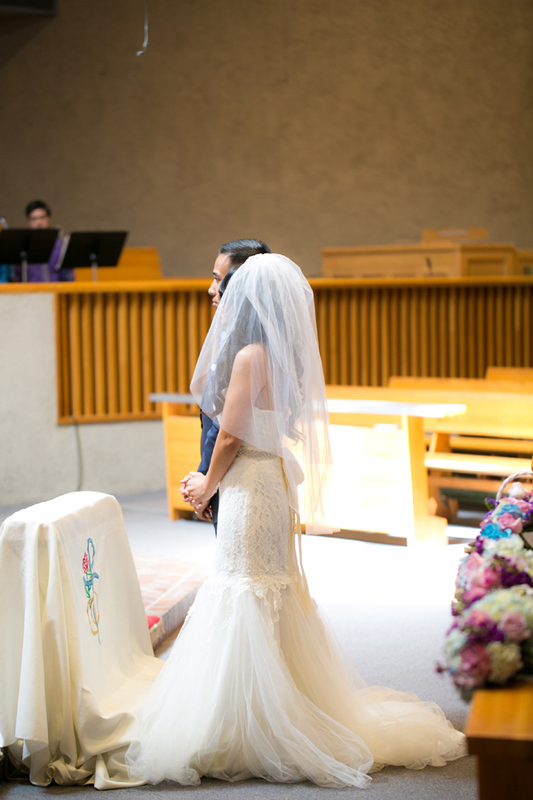 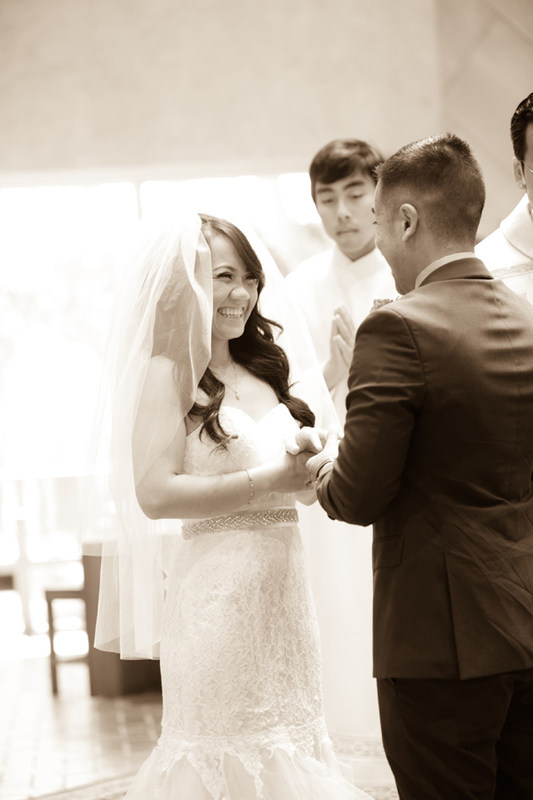 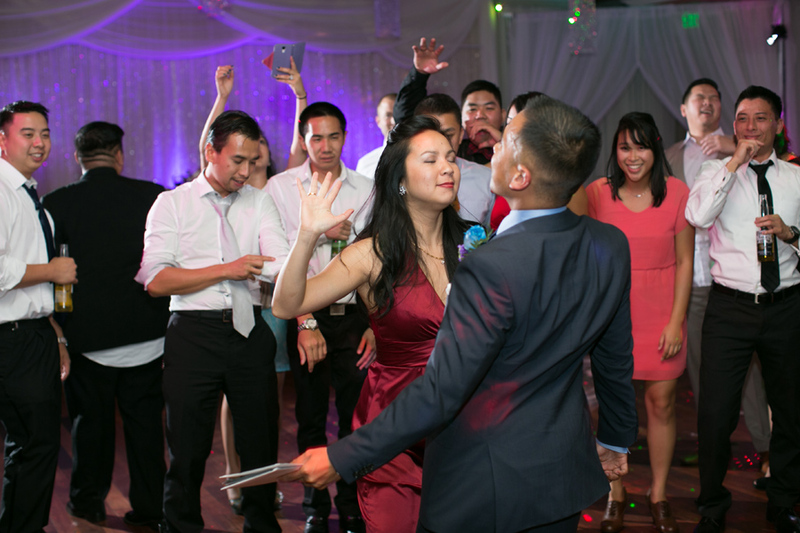 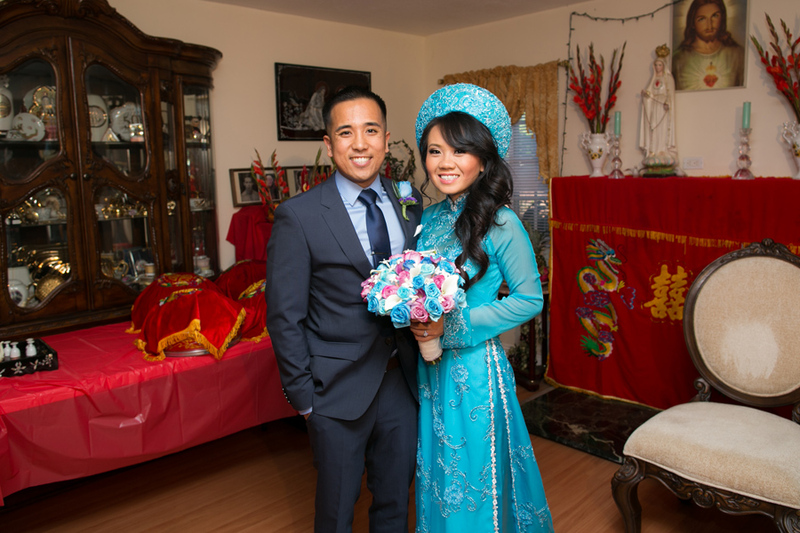 The outpouring of love for Thanh and Duc on their wedding day was contagious. 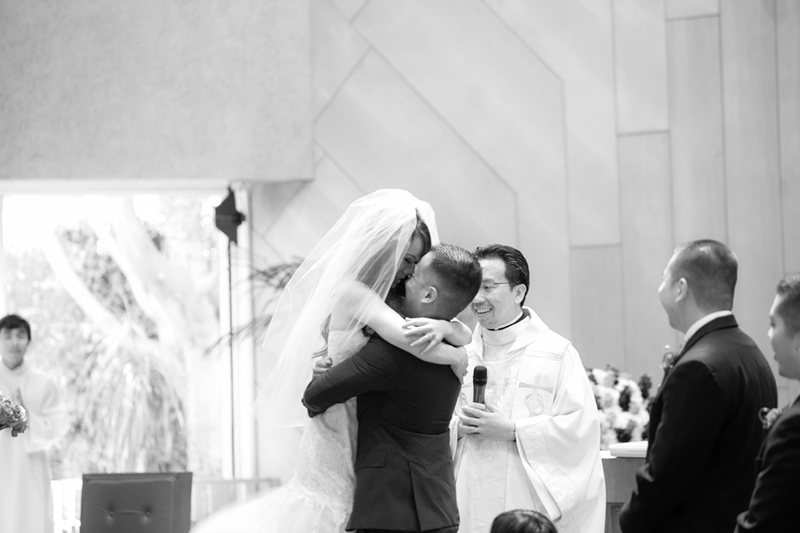 They had family flying from almost all over the world to attend their wedding. 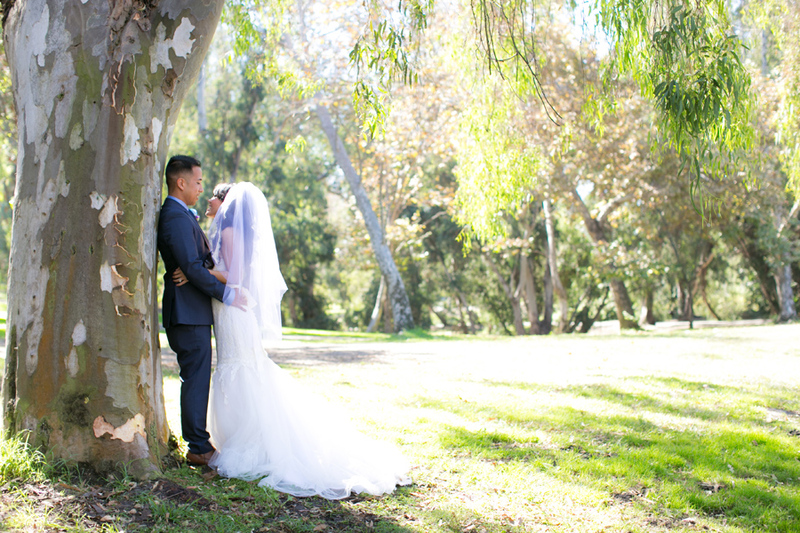 You cannot help but love Thanh + Duc once you get to know them and I was lucky that I got to be by their side during the whole planning process. 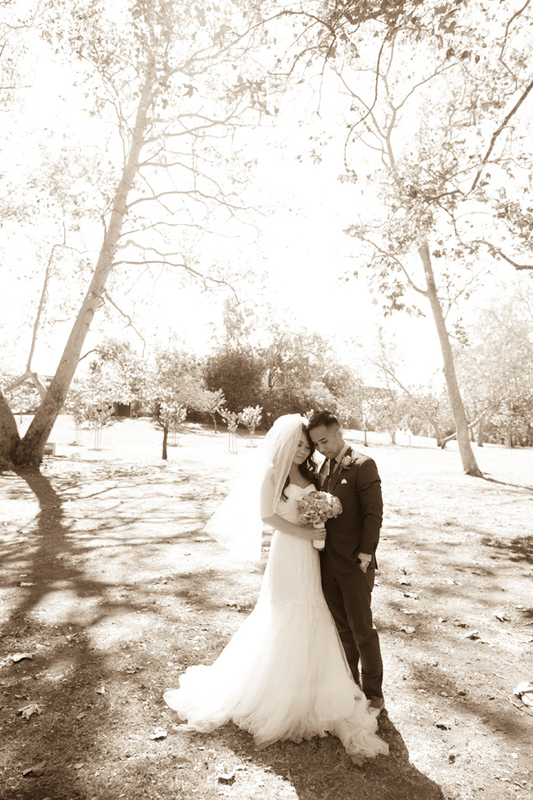 They truly are the sweetest, most loving couple. 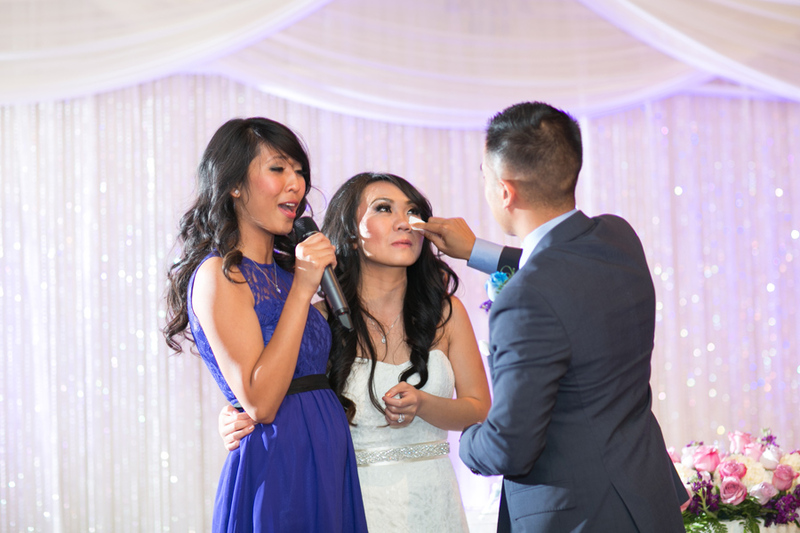 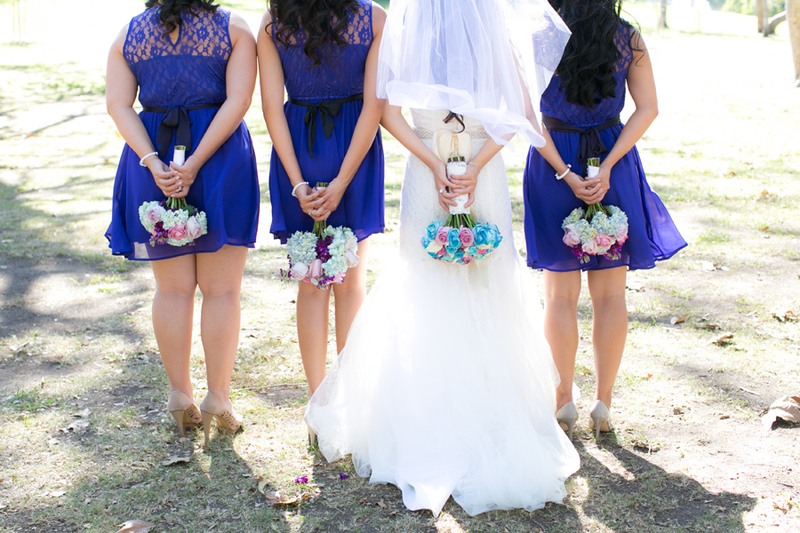 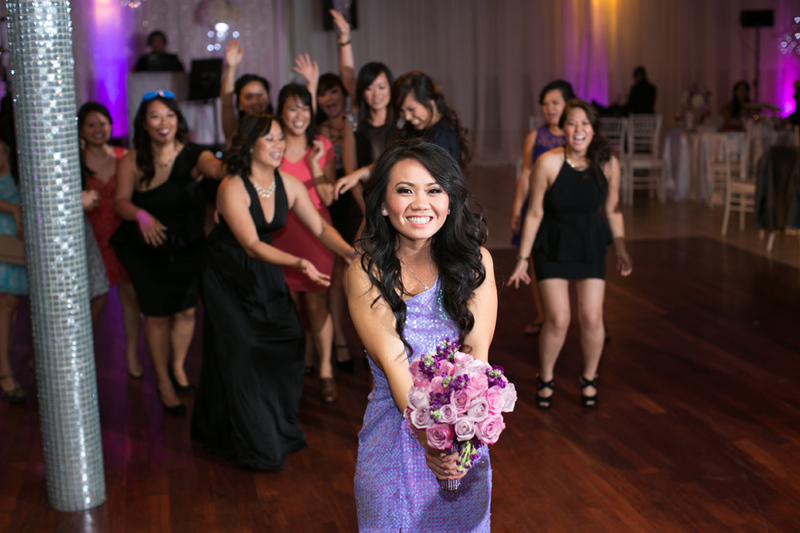 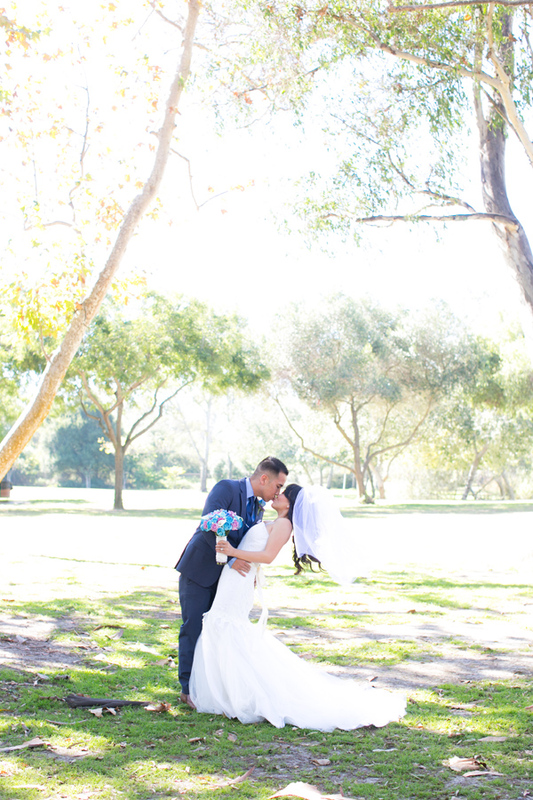 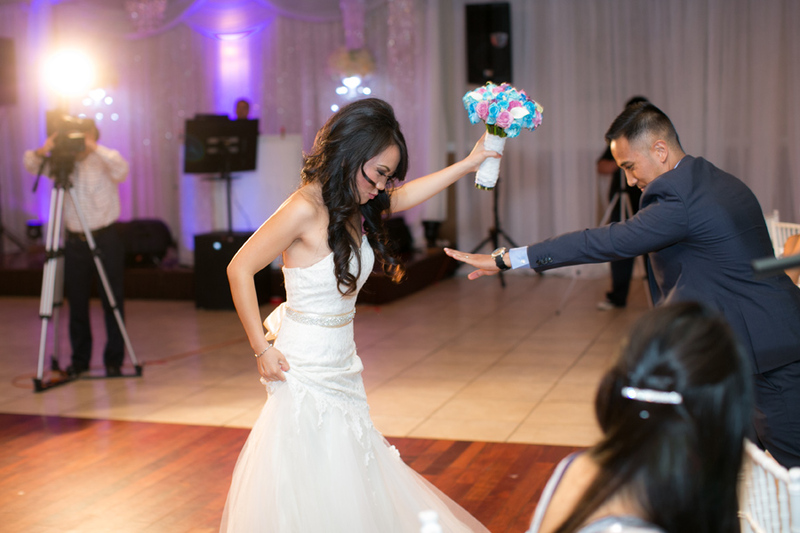 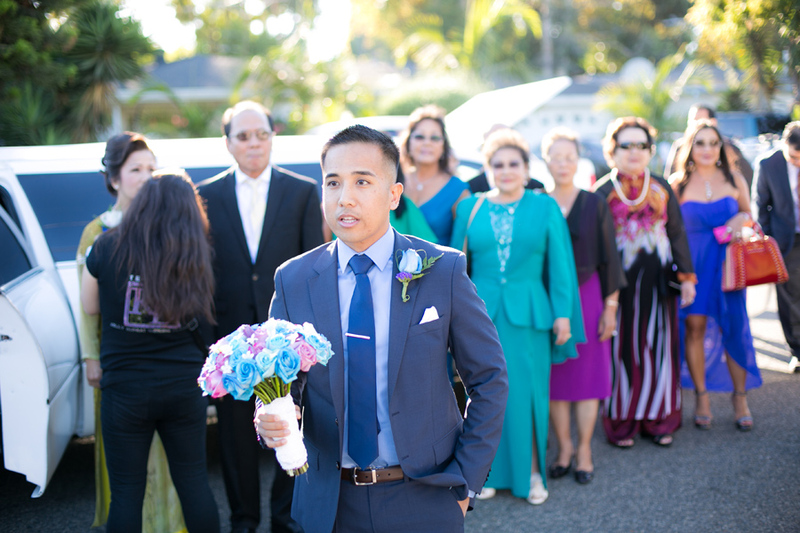 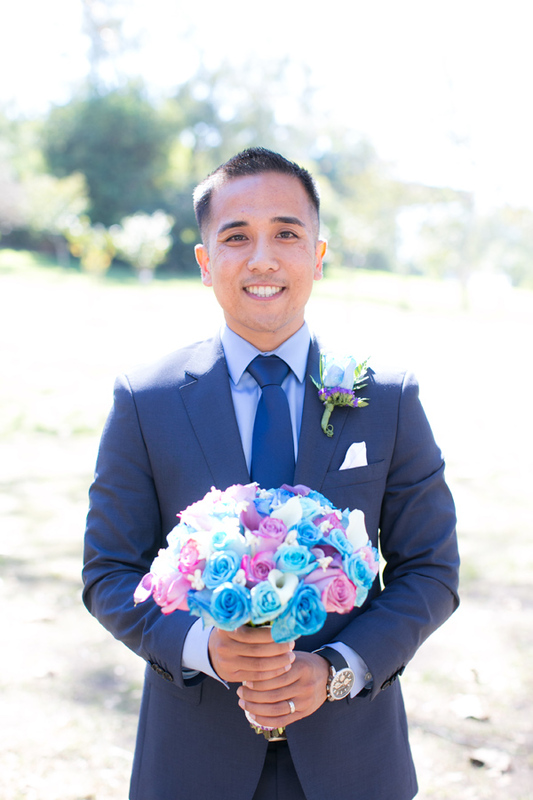 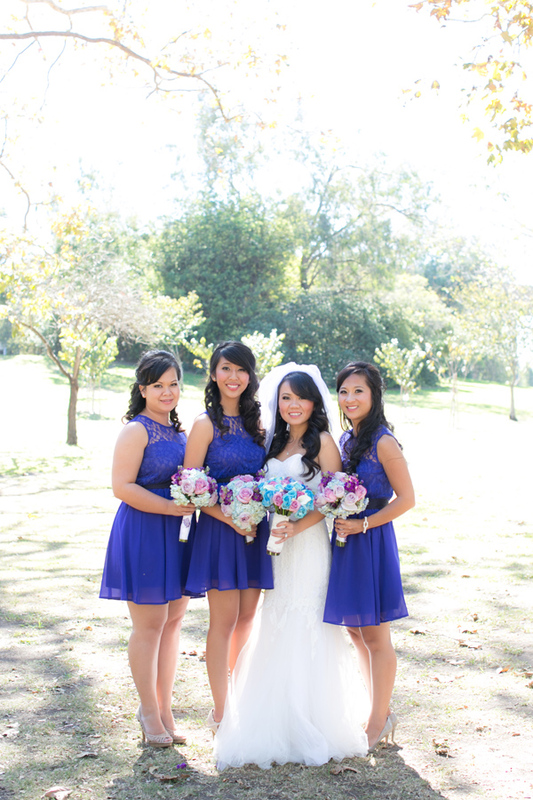 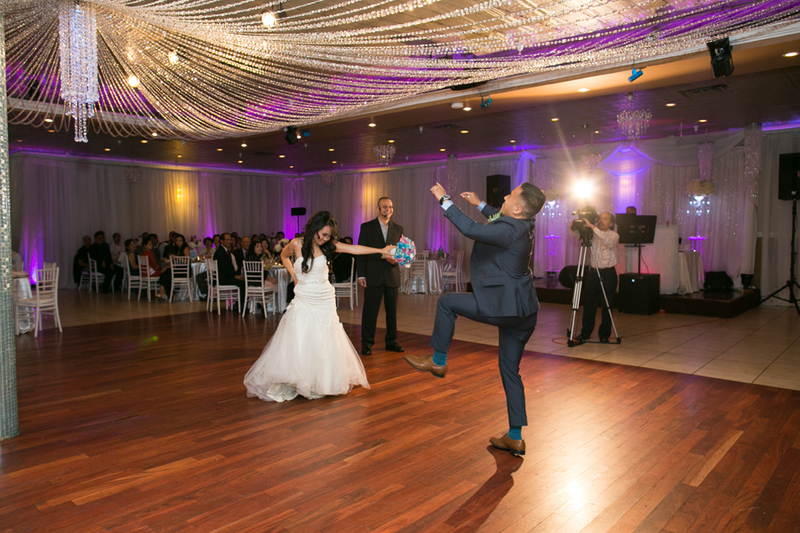 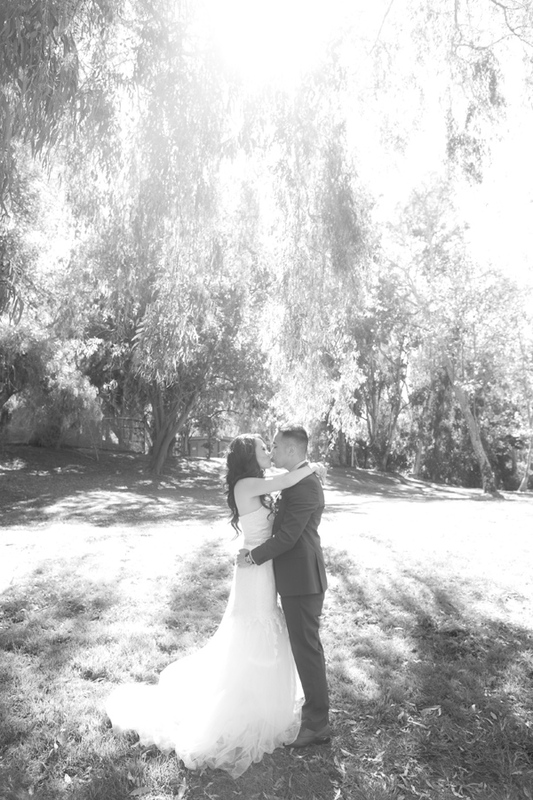 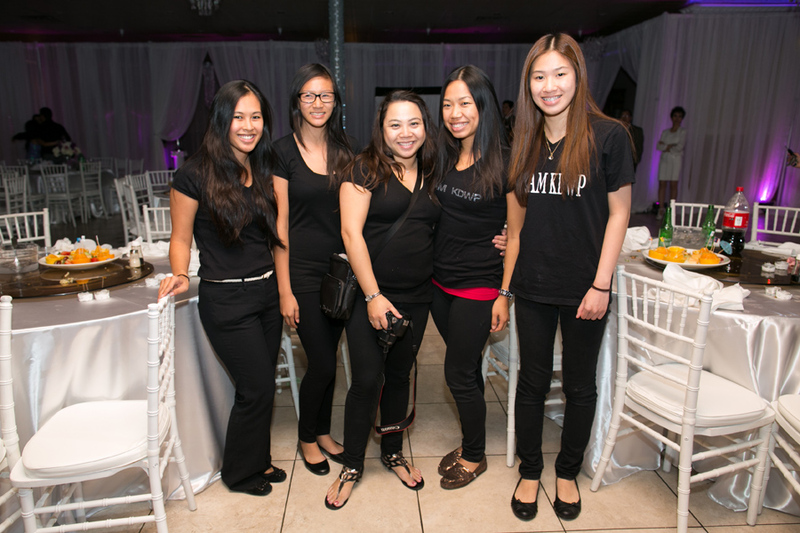 Props to Thao Vu Photography for ALWAYS providing amazing photos. 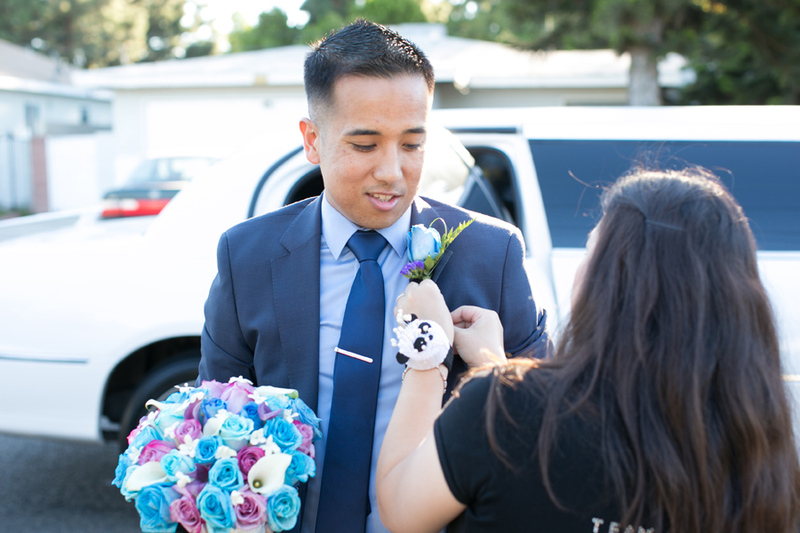 Helping the groom and his family get ready for the tea ceremony. 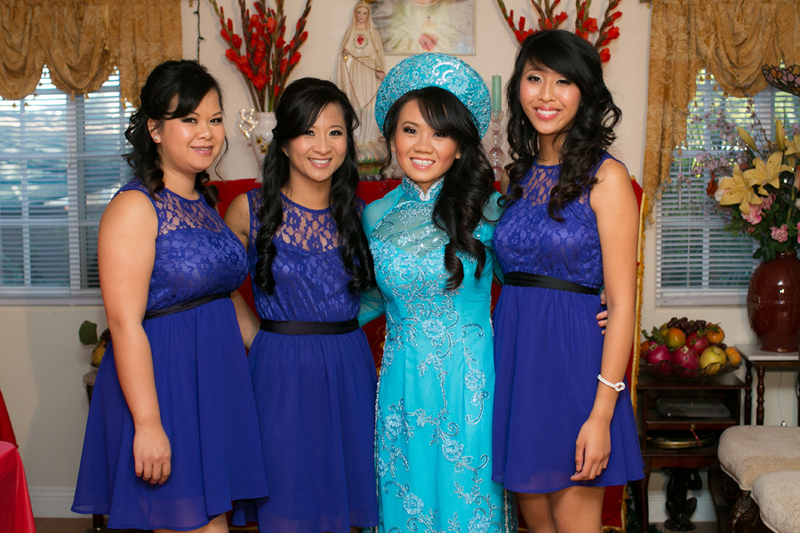 Thanh’s quick change into her 2nd ao dai heading out to groom’s side for another tea ceremony in Long Beach. 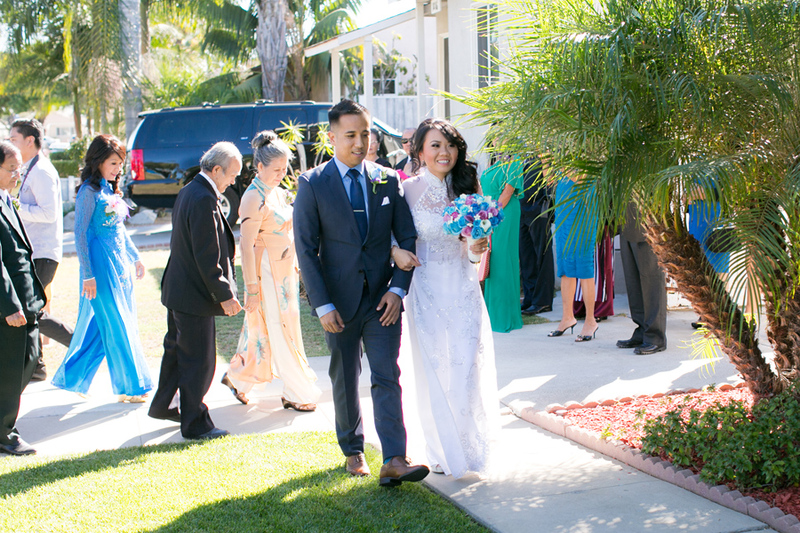 After the tea ceremony, we were all en route to Holy Spirit Catholic Church in Fountain Valley. 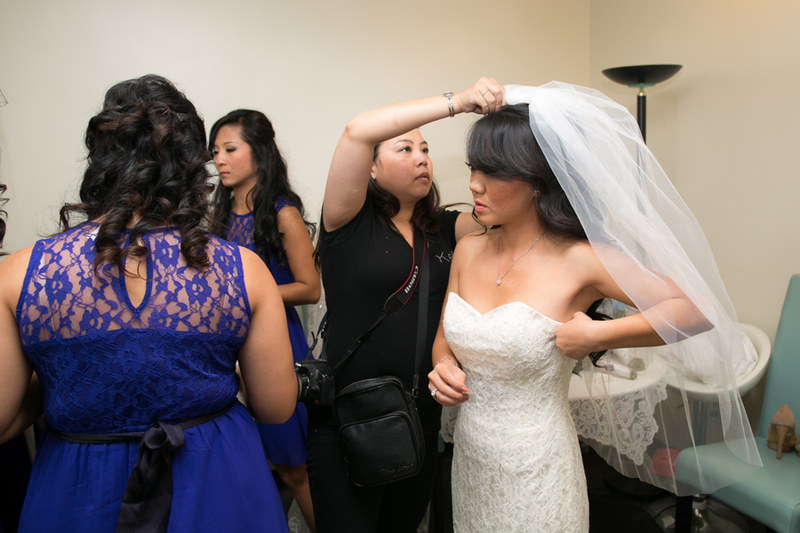 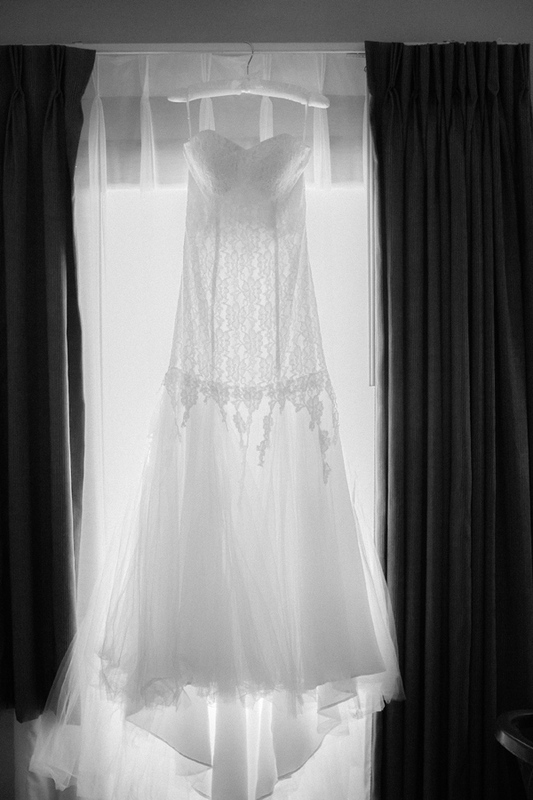 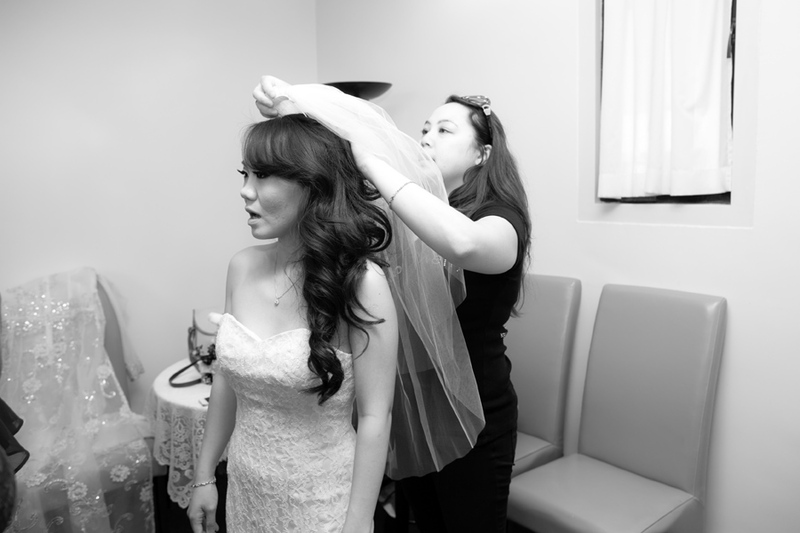 Here I am helping the bride with her wedding gown and putting on her veil. 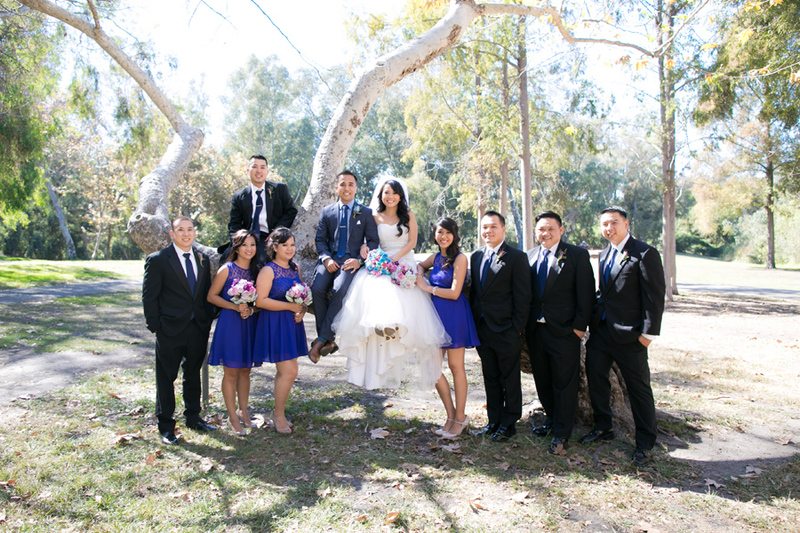 Wedding party portrait at the Huntington Beach Park. 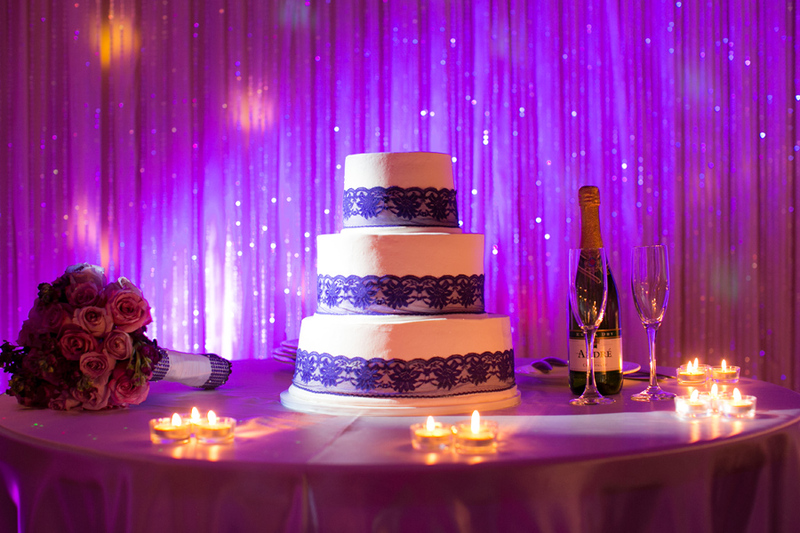 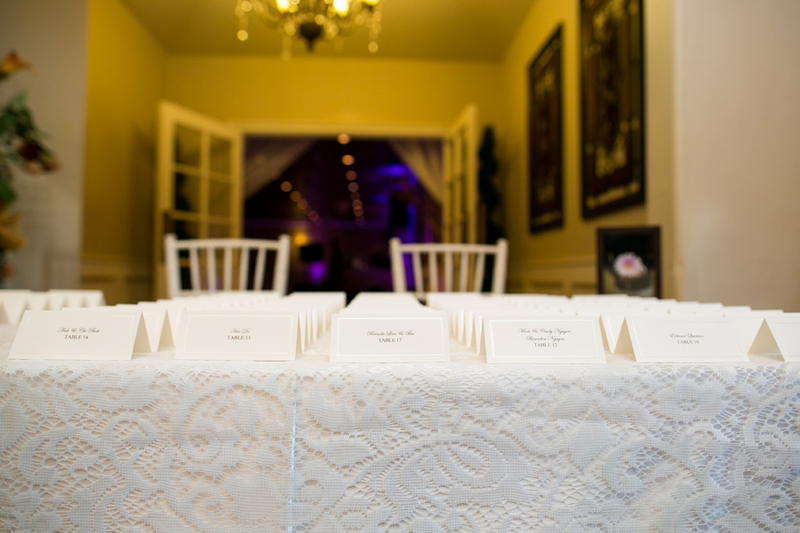 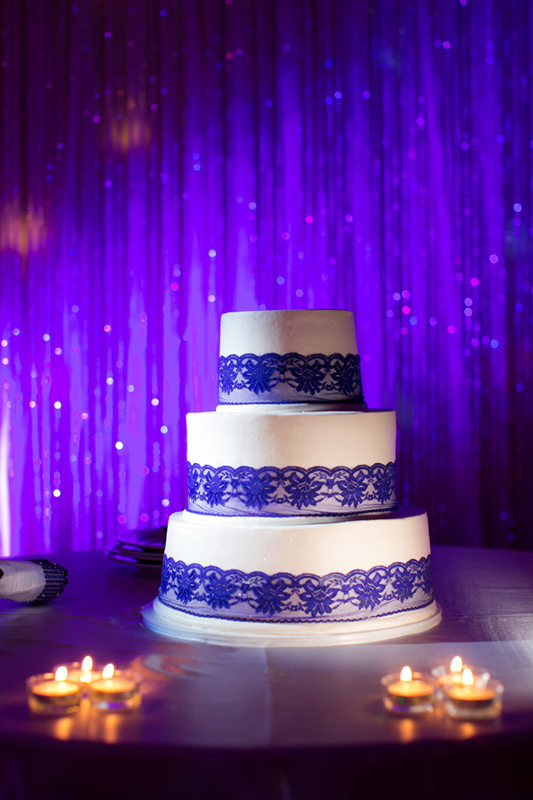 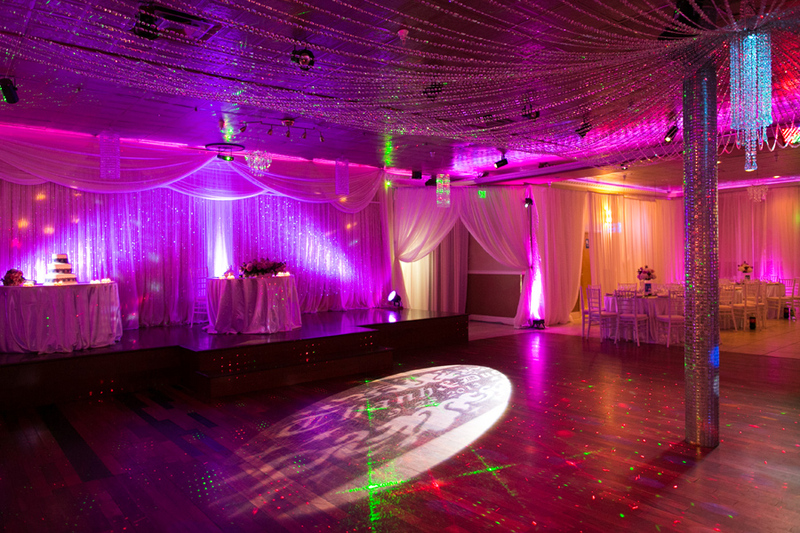 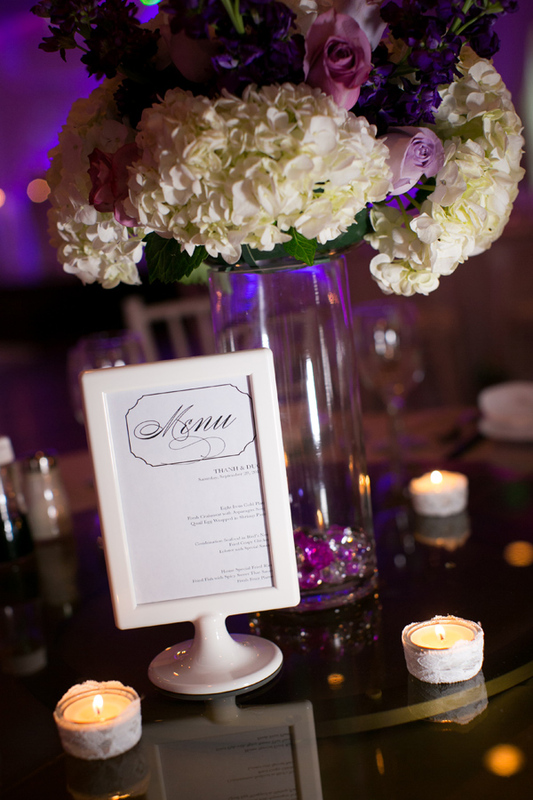 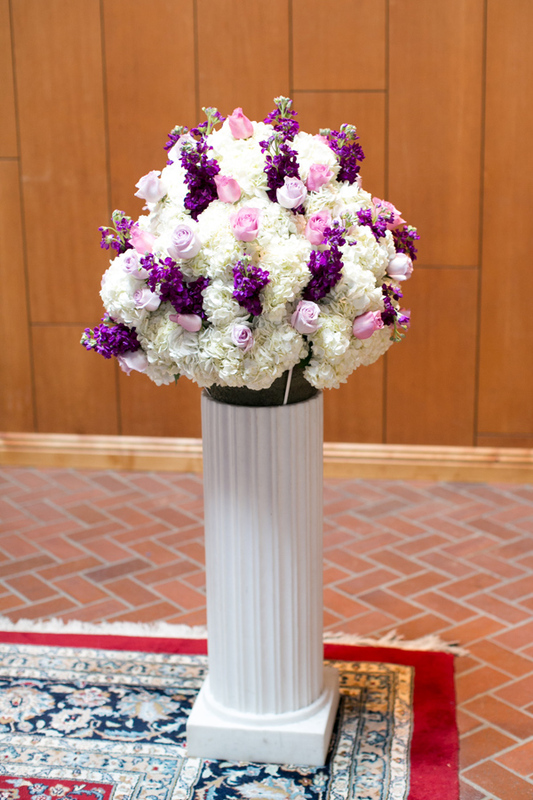 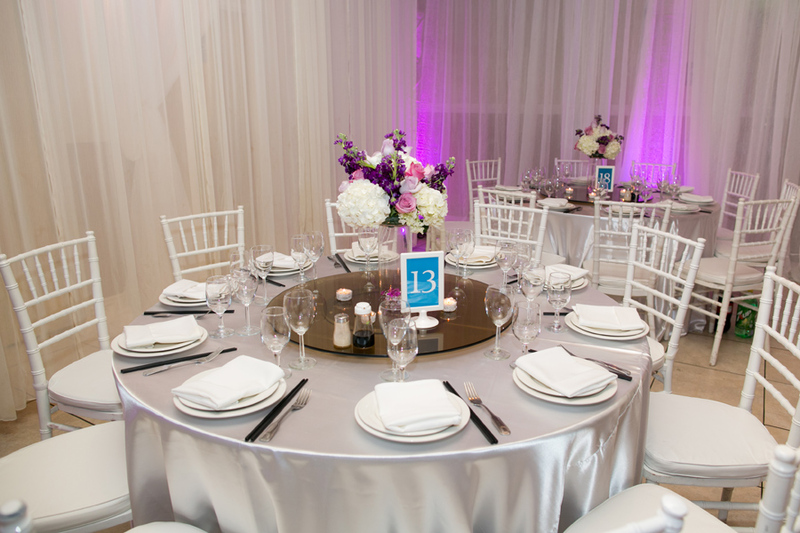 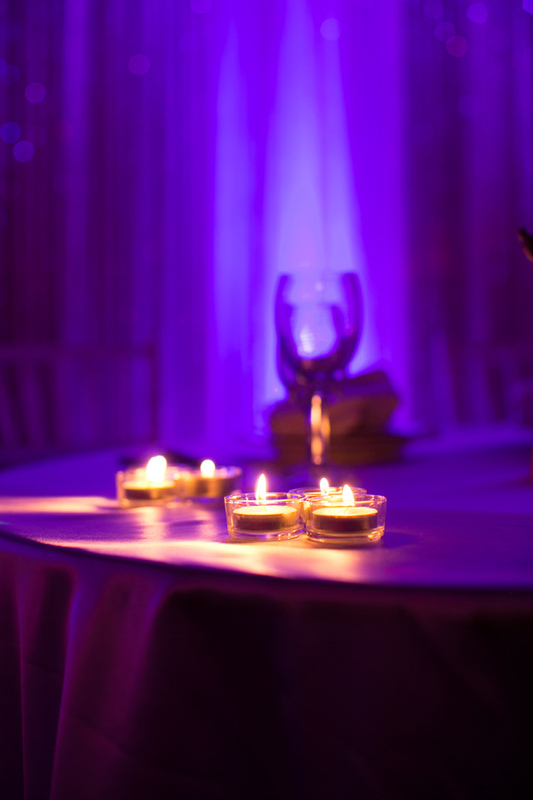 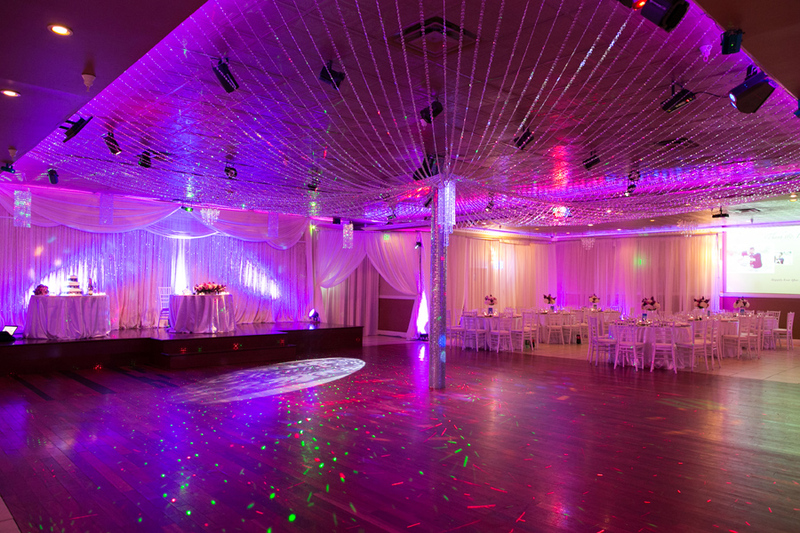 If you follow us on Facebook, you can see all of the behind the scenes on reception set-up. 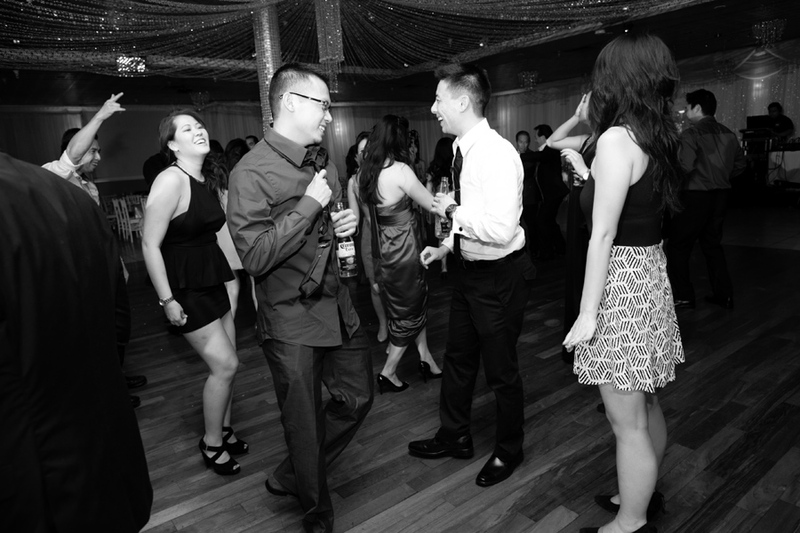 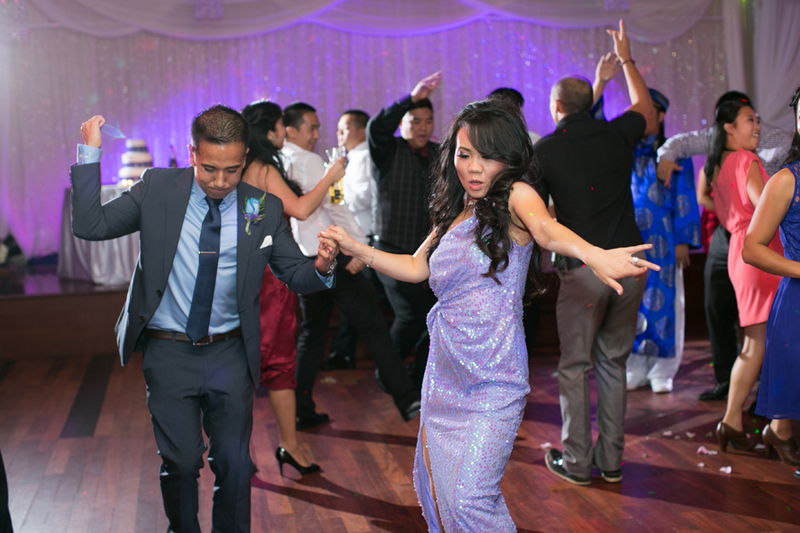 Thanh and Duc know how to boogie! 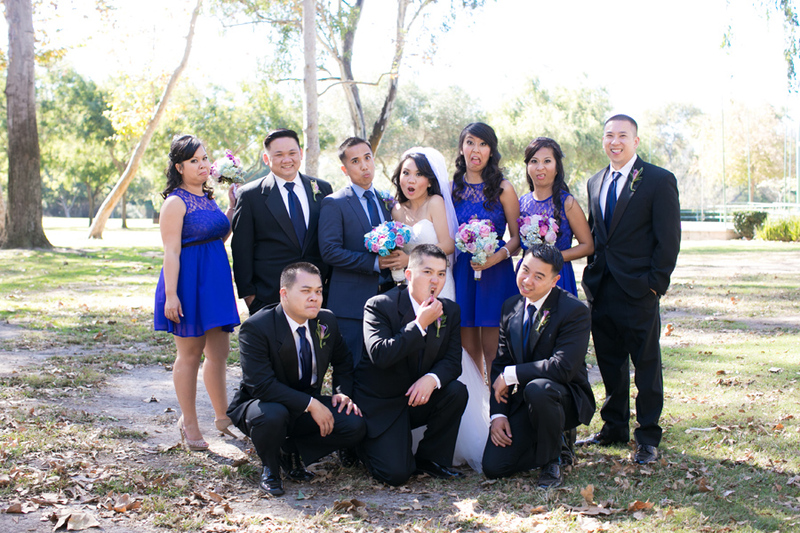 It was a fun filled wedding day! 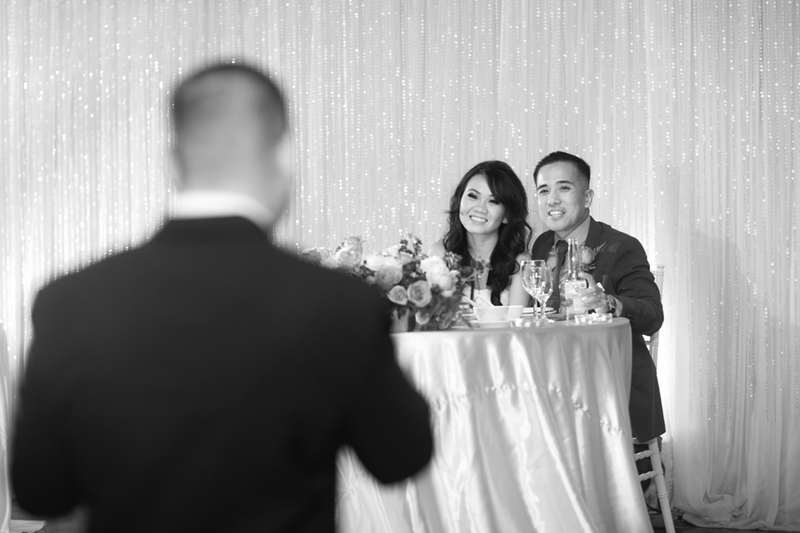 Thank you Thanh and Duc for having KDWP be part of it. 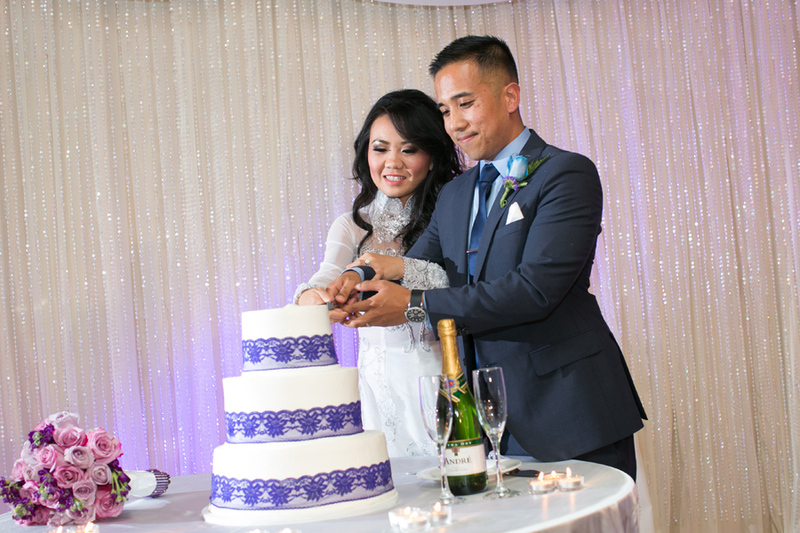 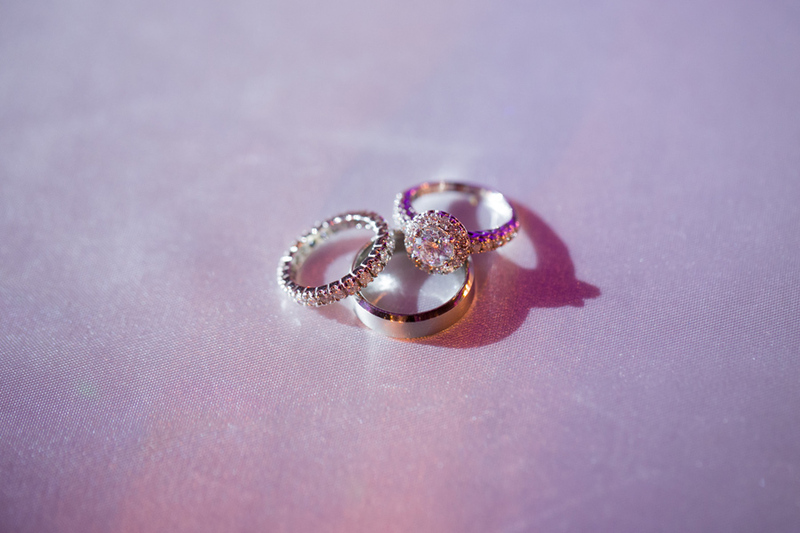 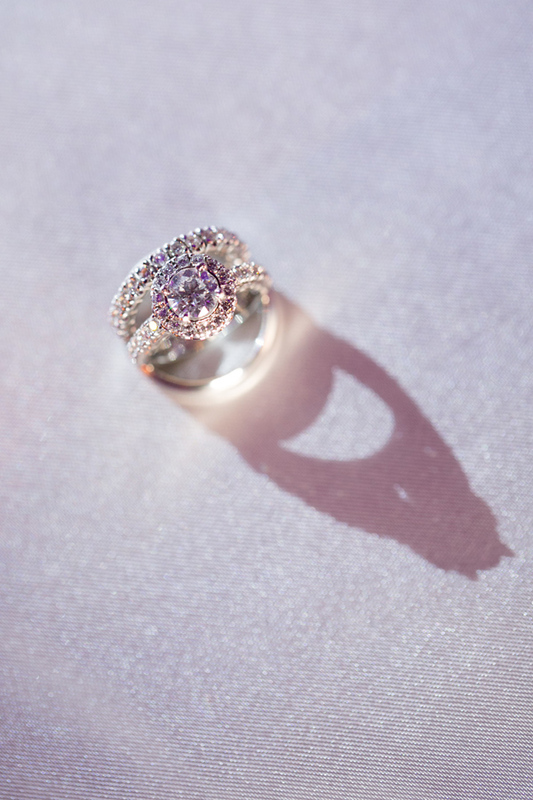 We wish you a lifetime of happiness and lots of laughter. 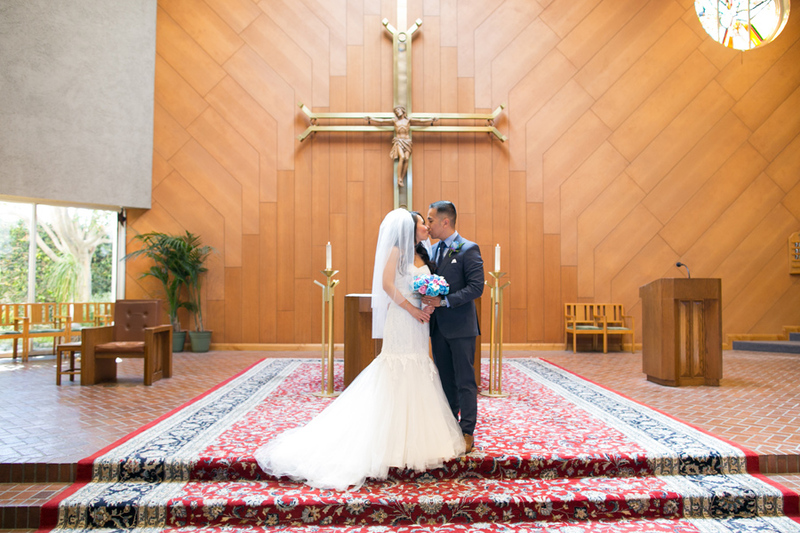 Happy 1 Year Anniversary Kathy and Paul!